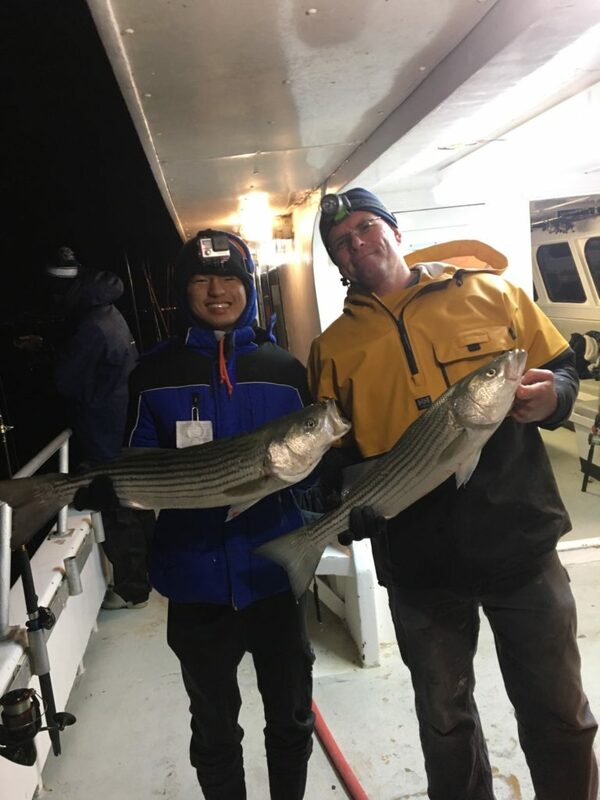 BIG PORGY’s & LING Are Here on the 7am Trips ! 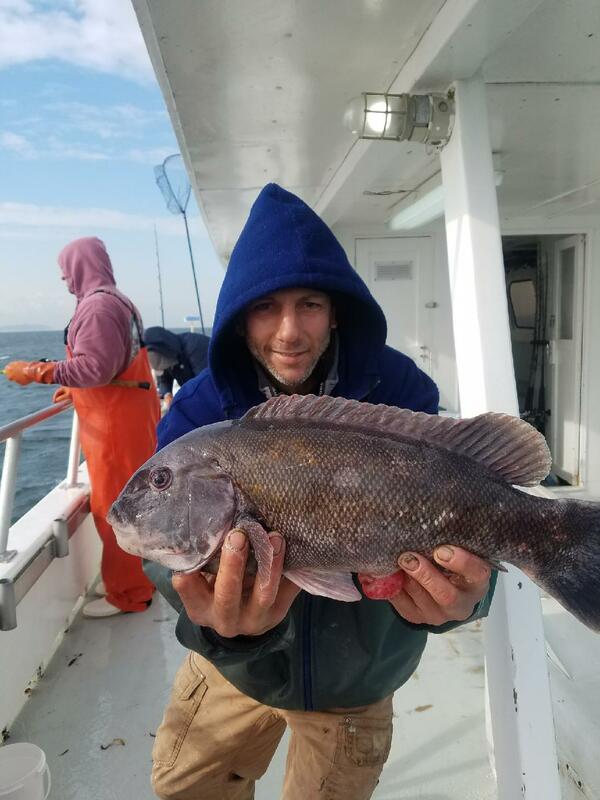 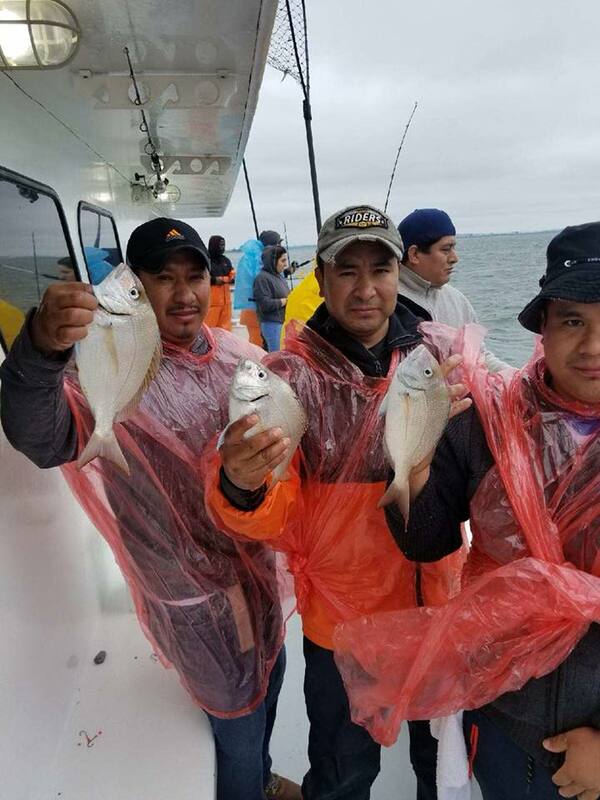 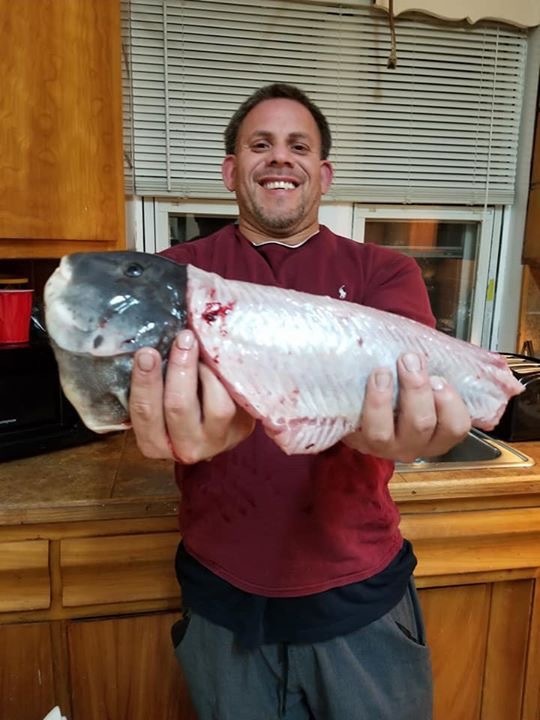 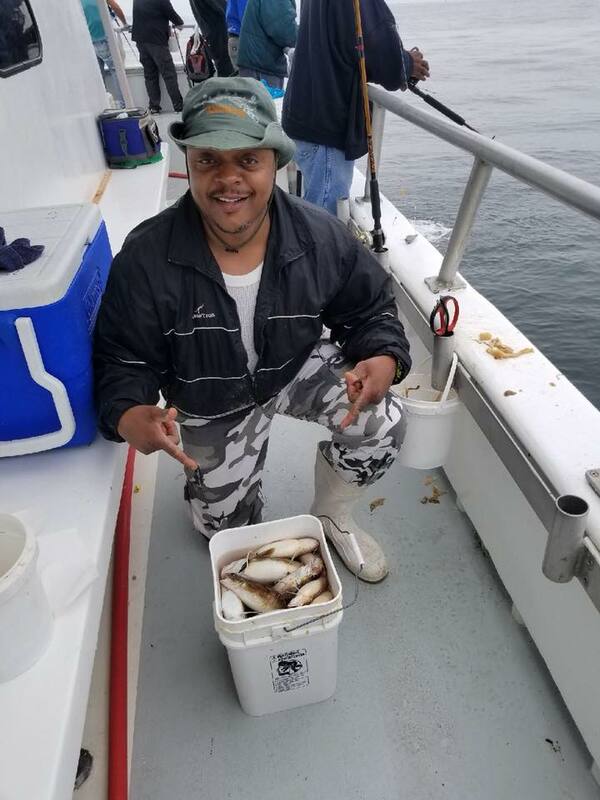 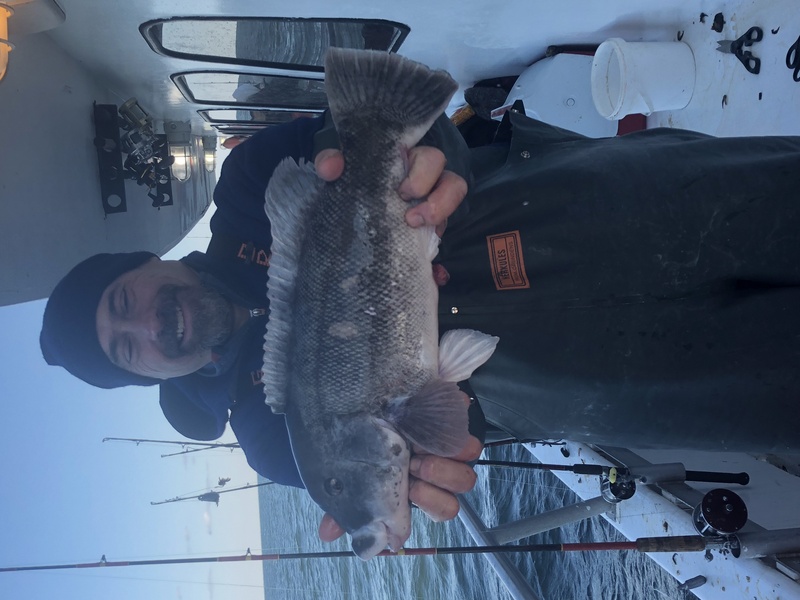 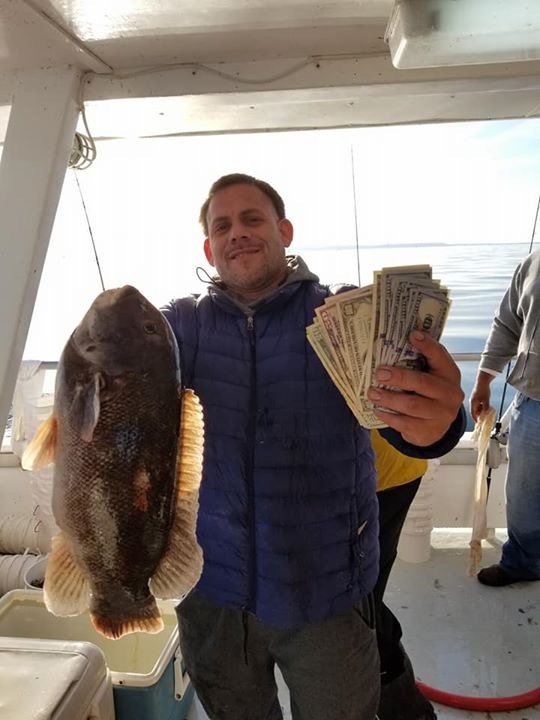 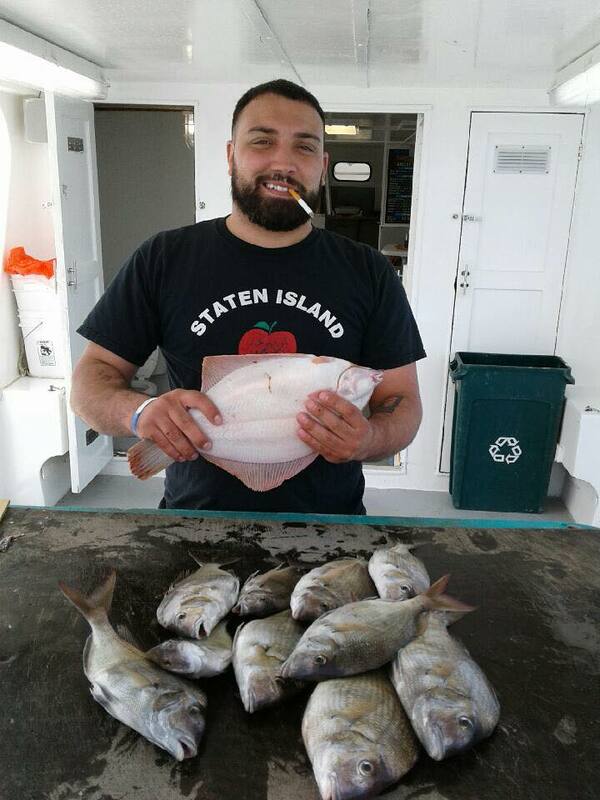 Fishing on the 7am trips has been pretty good lately, with some nice BIG Porgy’s showing up and plenty of tasty Ling in the ocean. 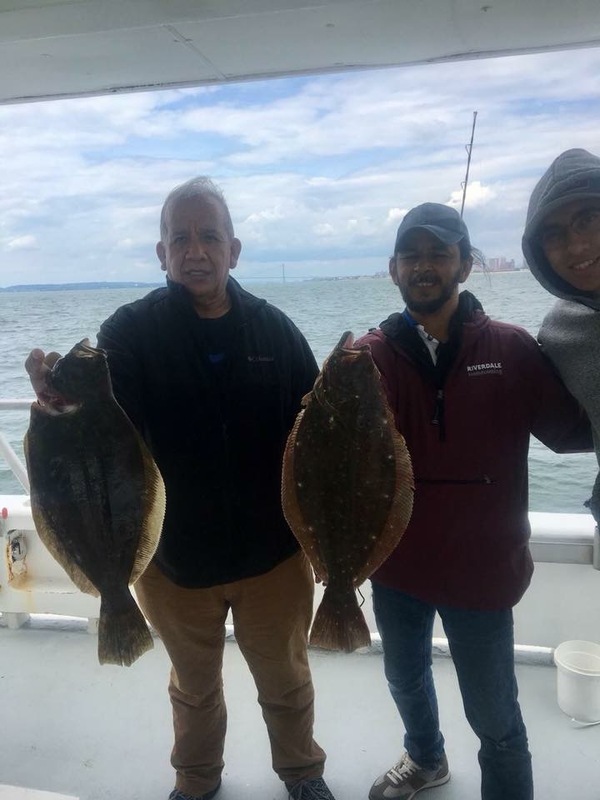 Also some fluke, Flounder and Bluefish have been mixed in on some days ! 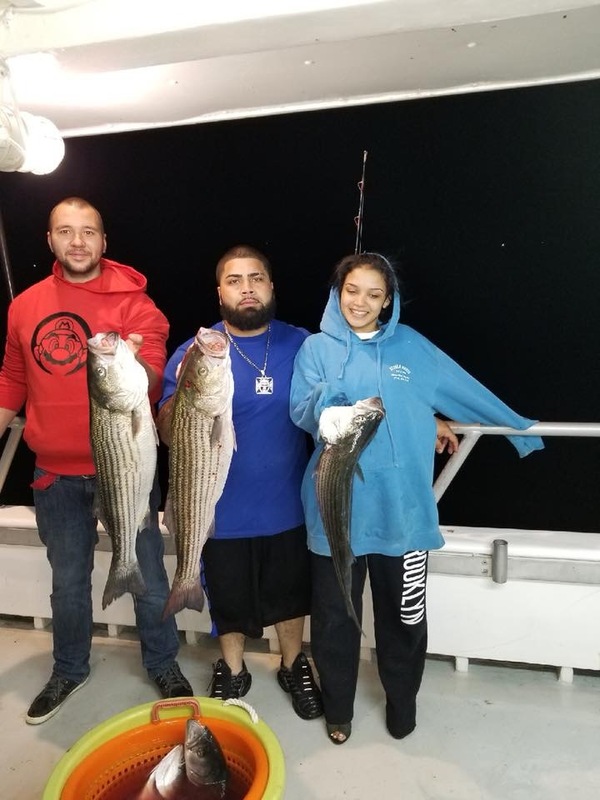 Night fishing remains hot with big Blues and Bass coming up on the 7pm trips. 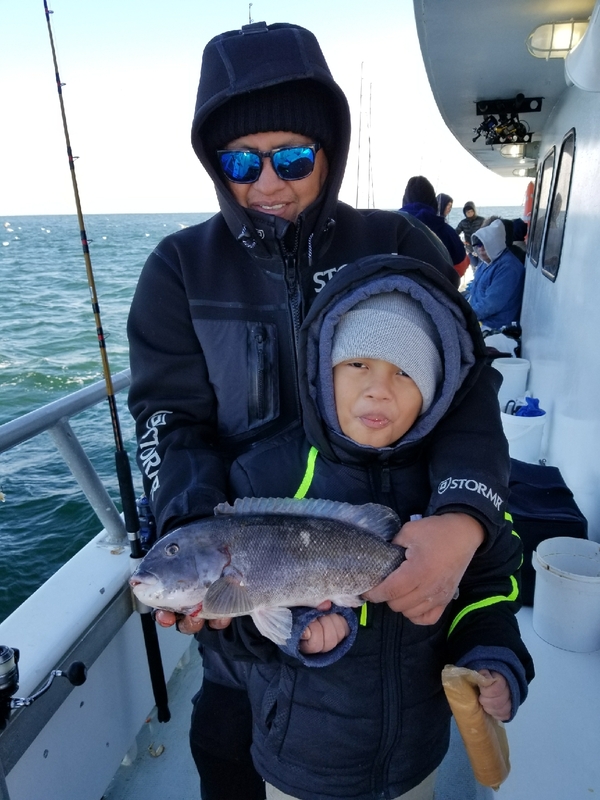 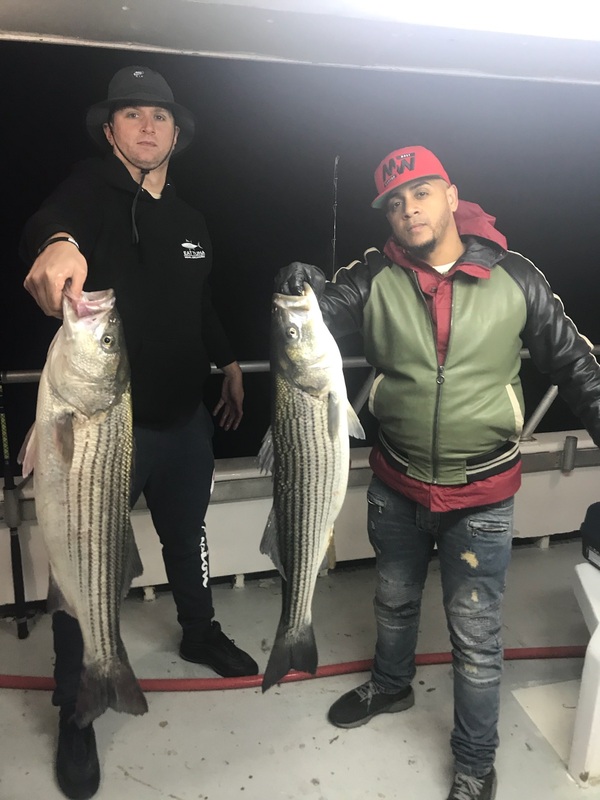 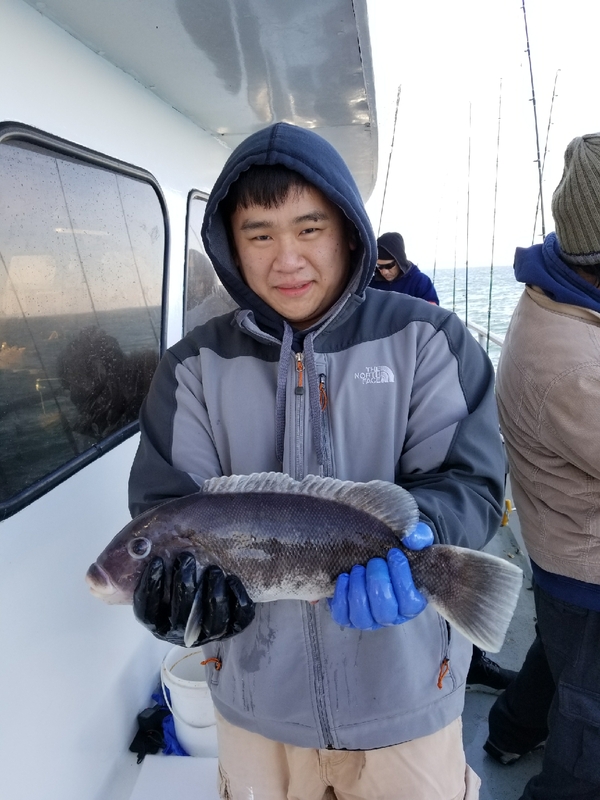 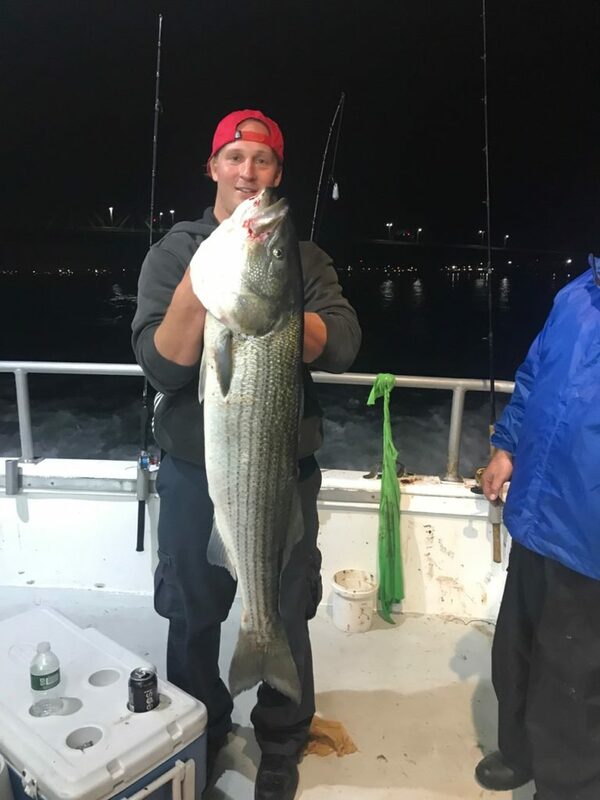 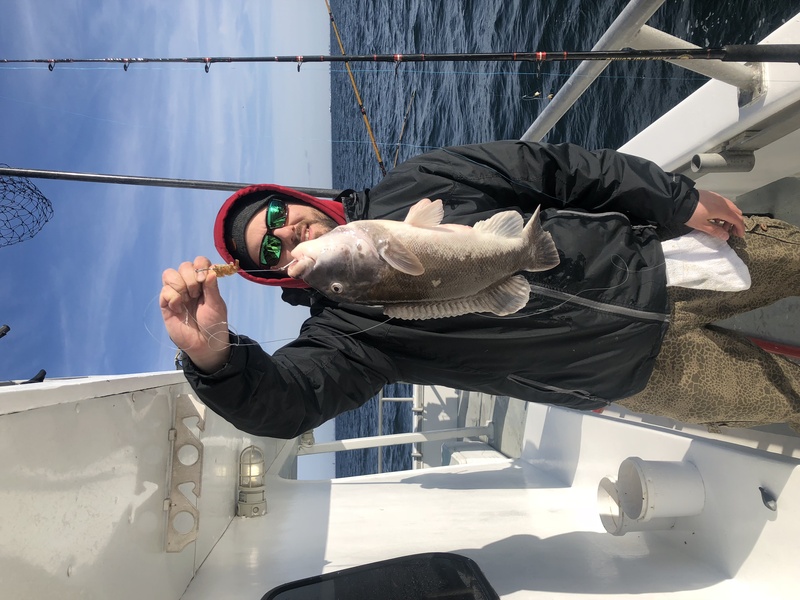 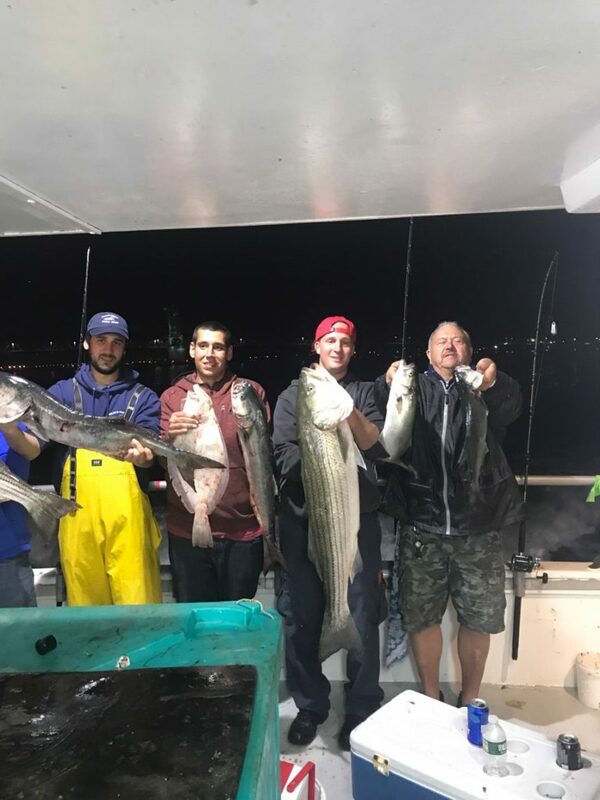 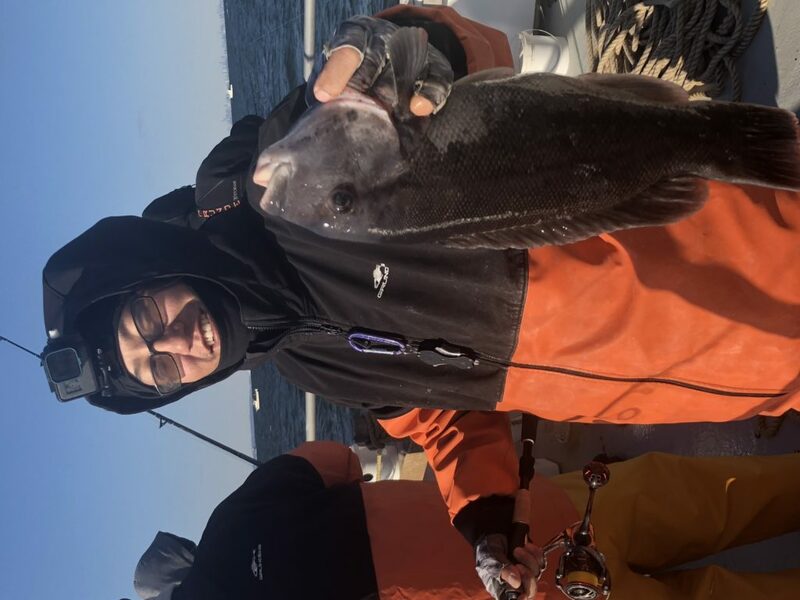 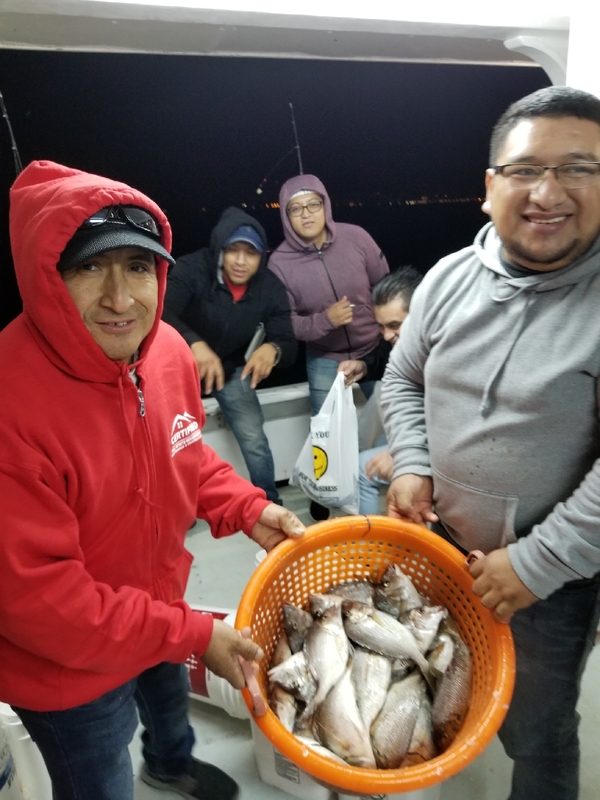 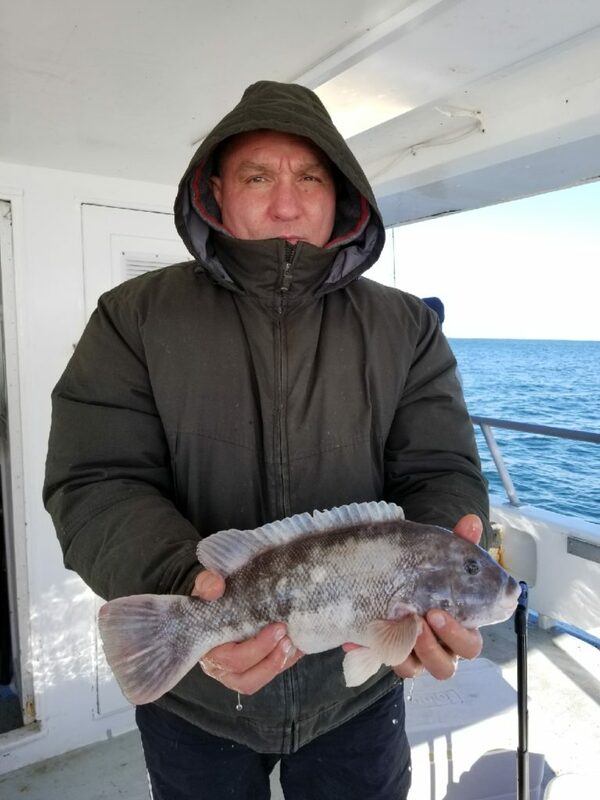 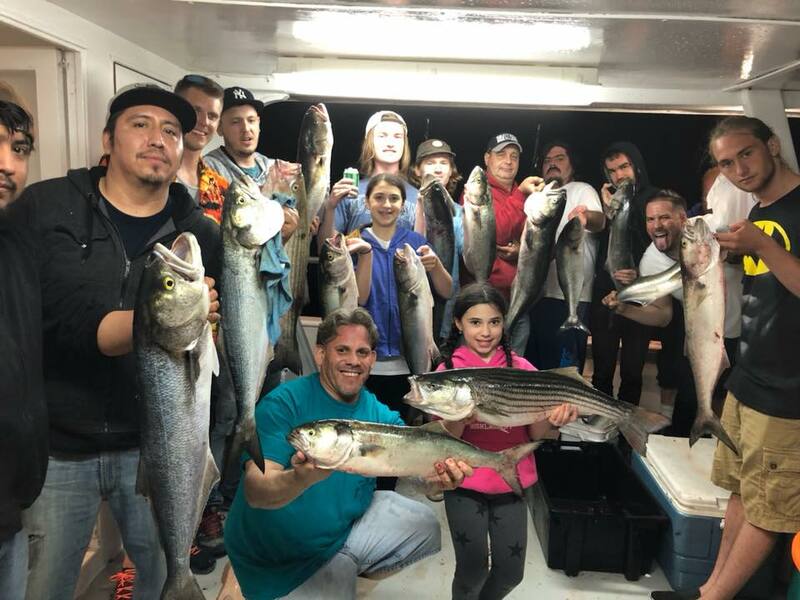 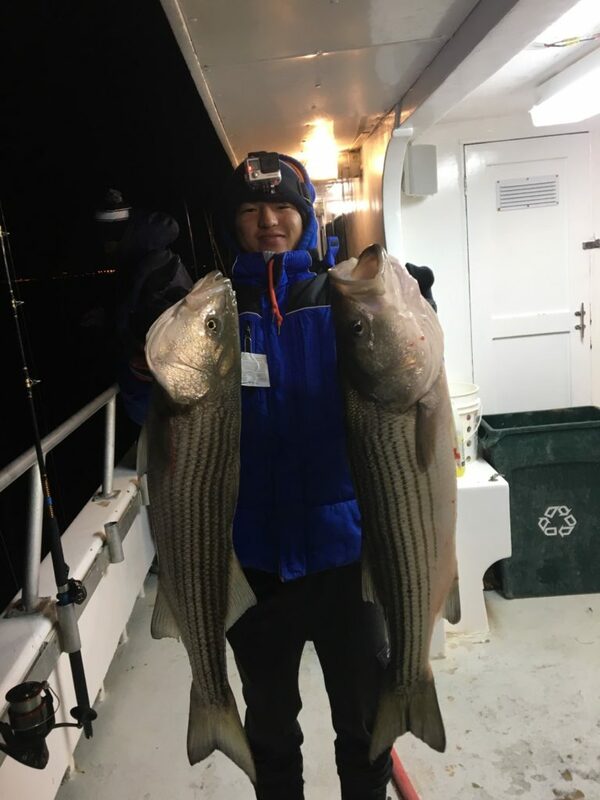 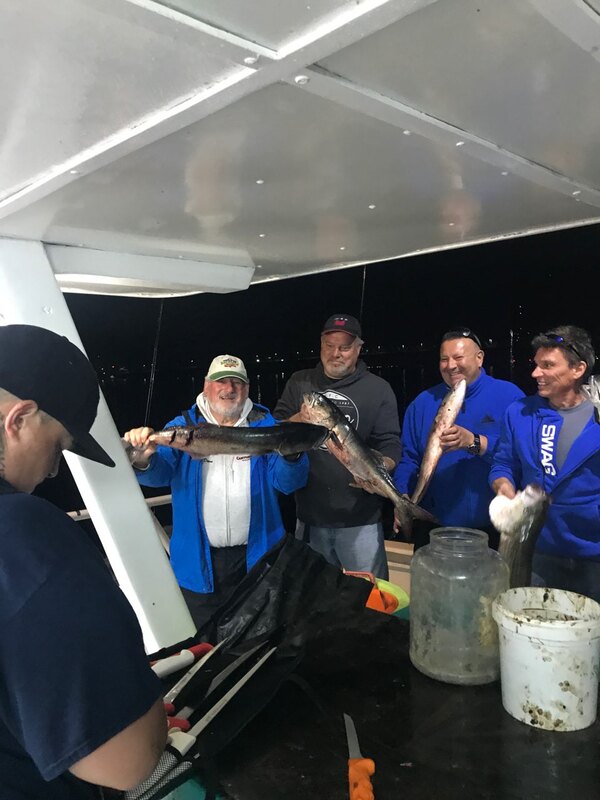 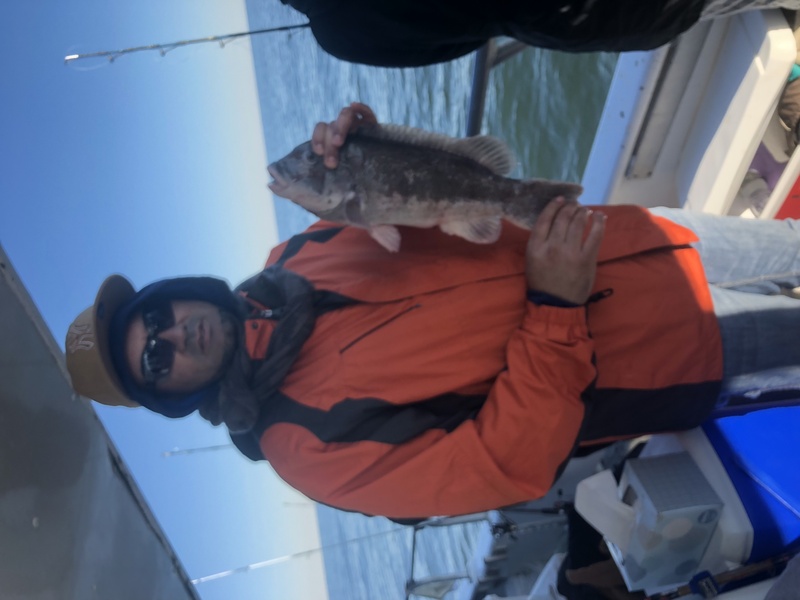 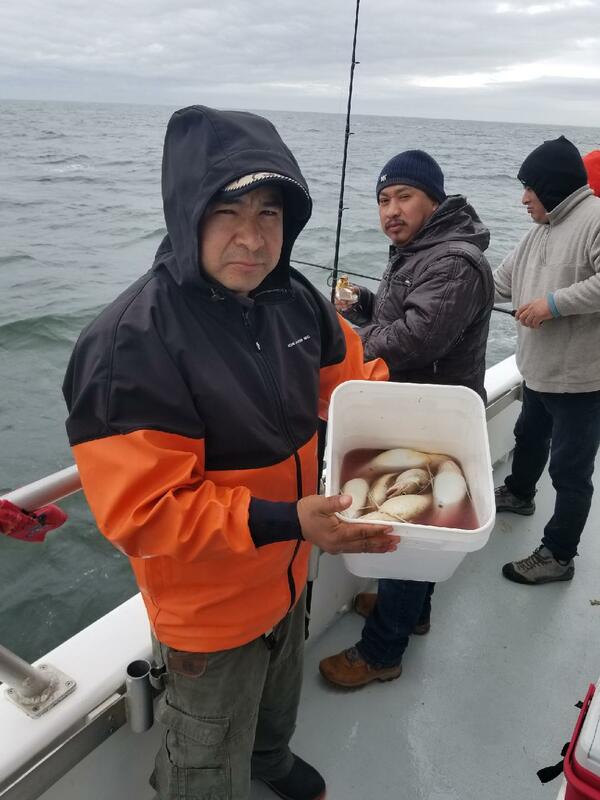 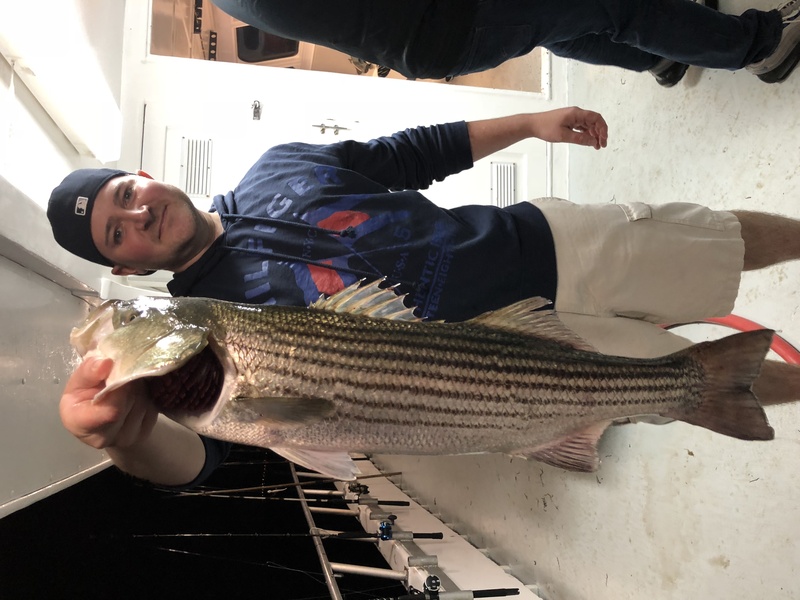 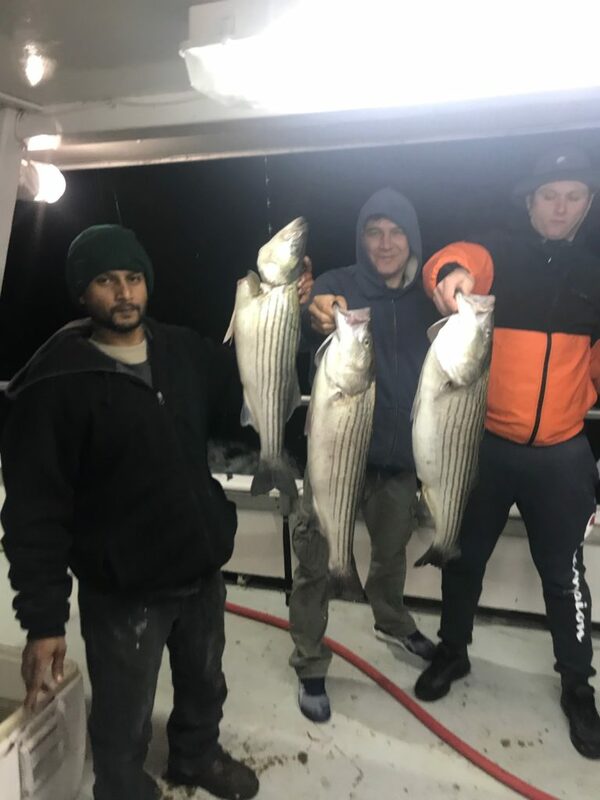 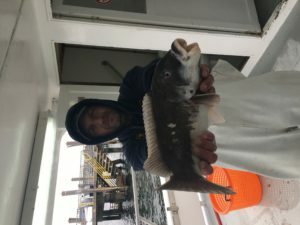 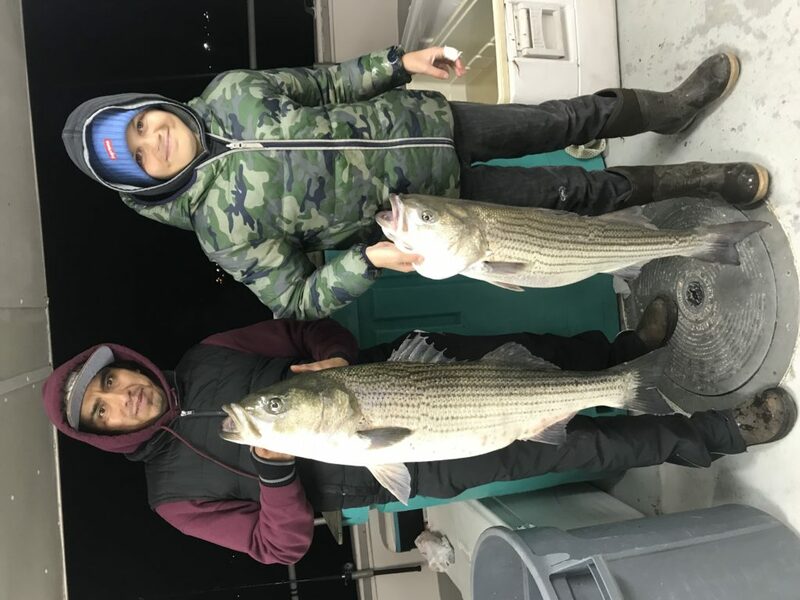 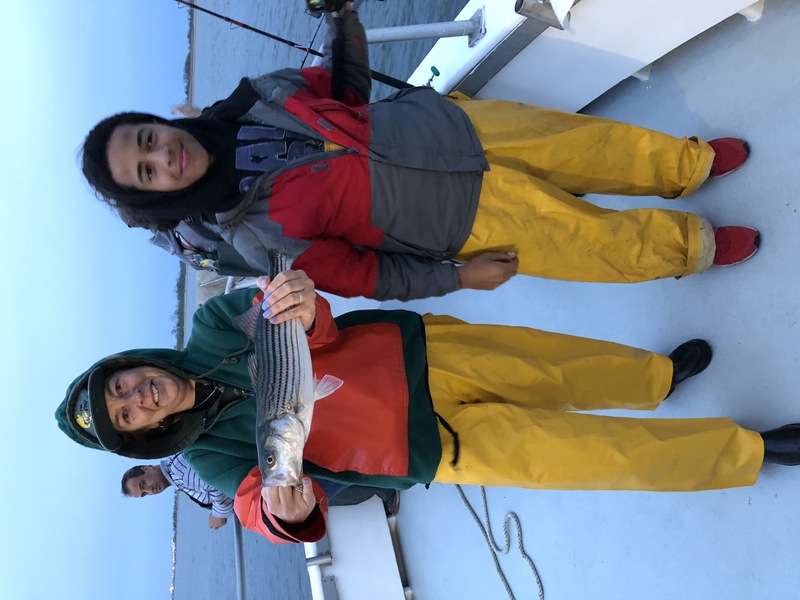 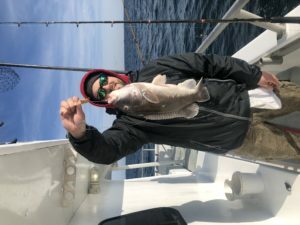 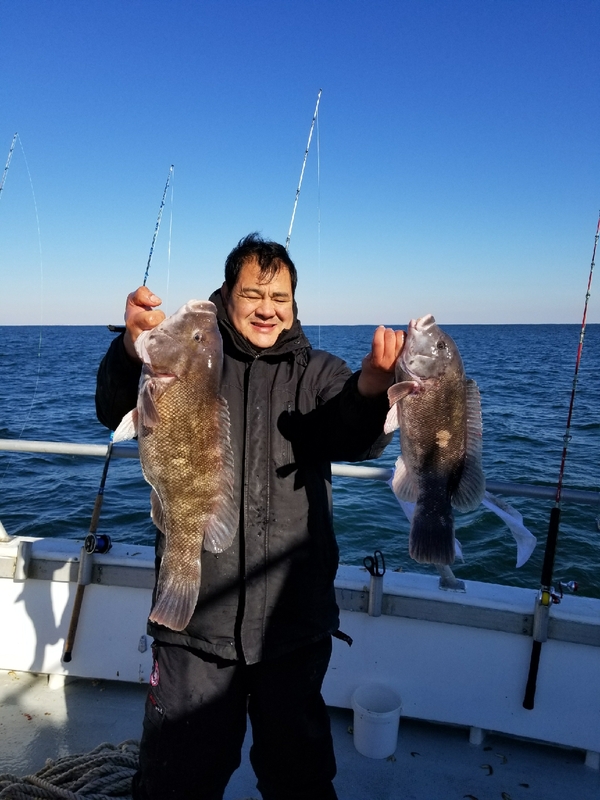 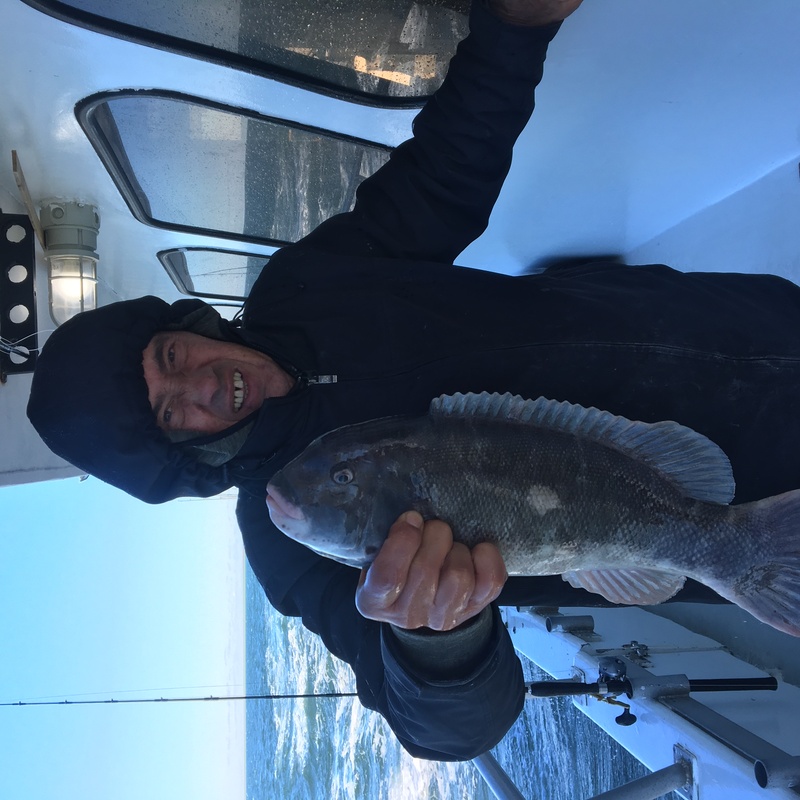 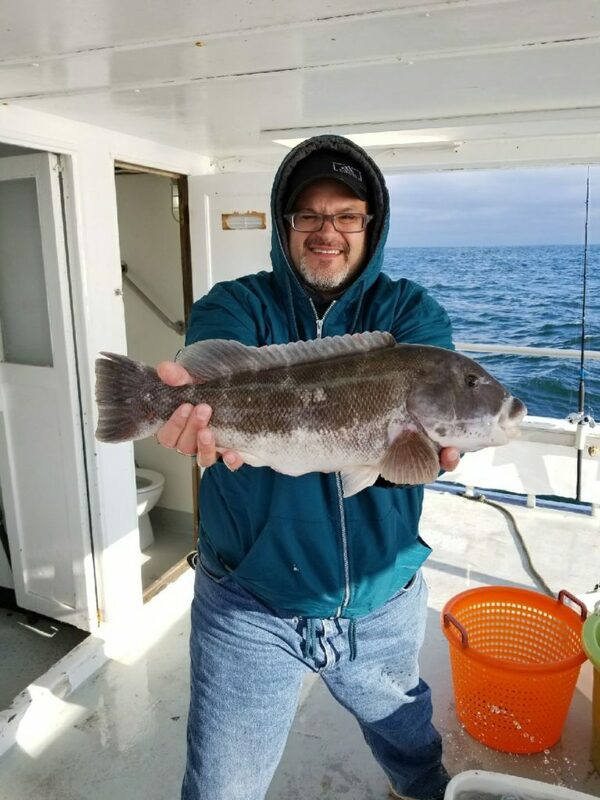 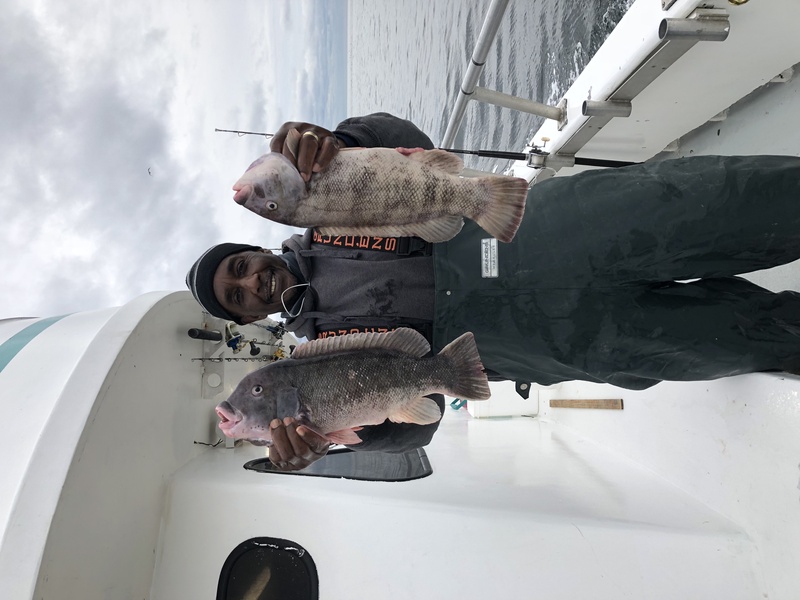 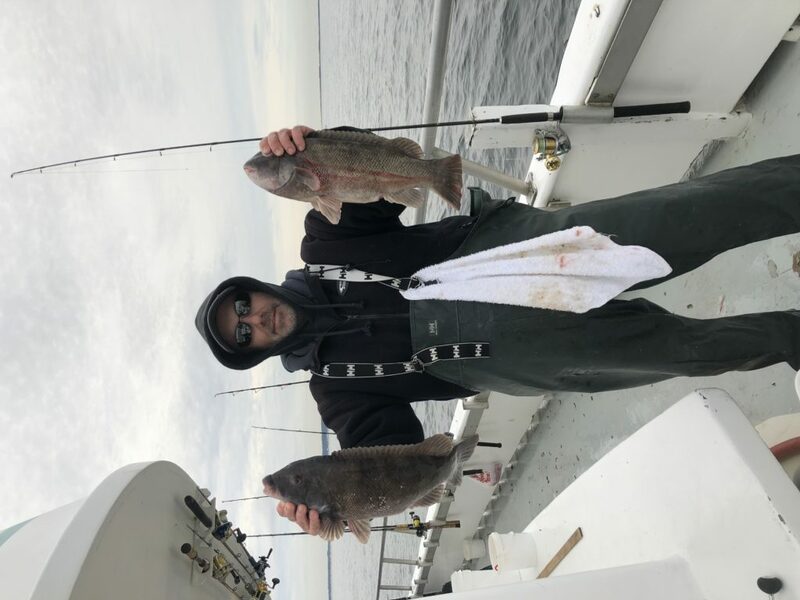 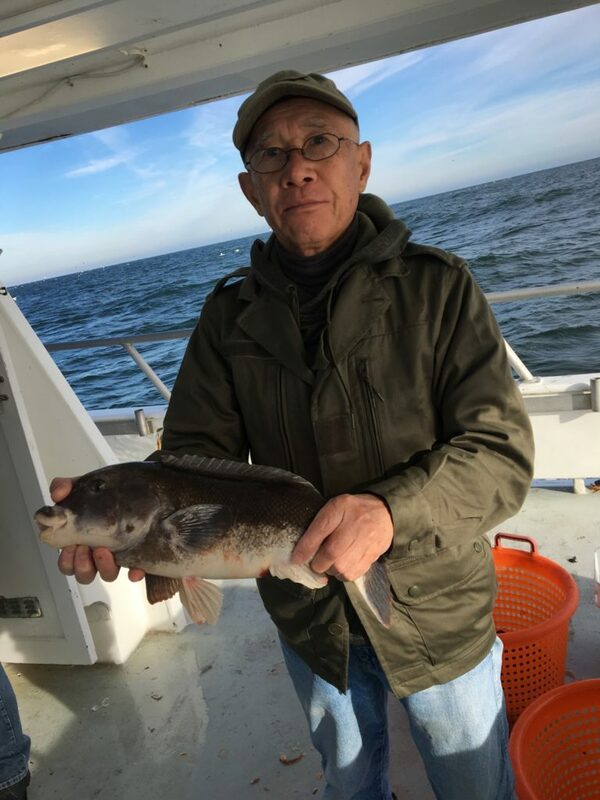 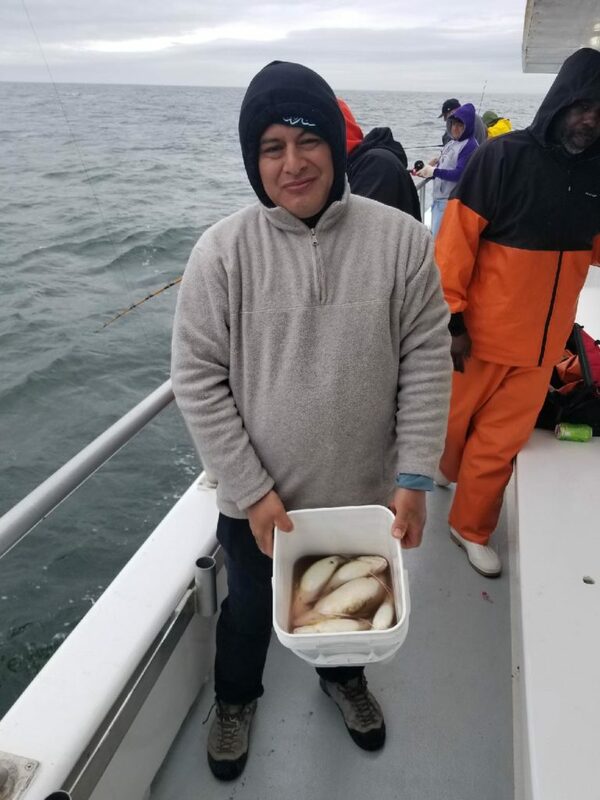 Good action on the 7pm to 12 midnight Striped Bass and Bluefish trips continues, with Bass up to 31 pounds and mixed sized Blues coming up with an occasional Fluke in the mix. 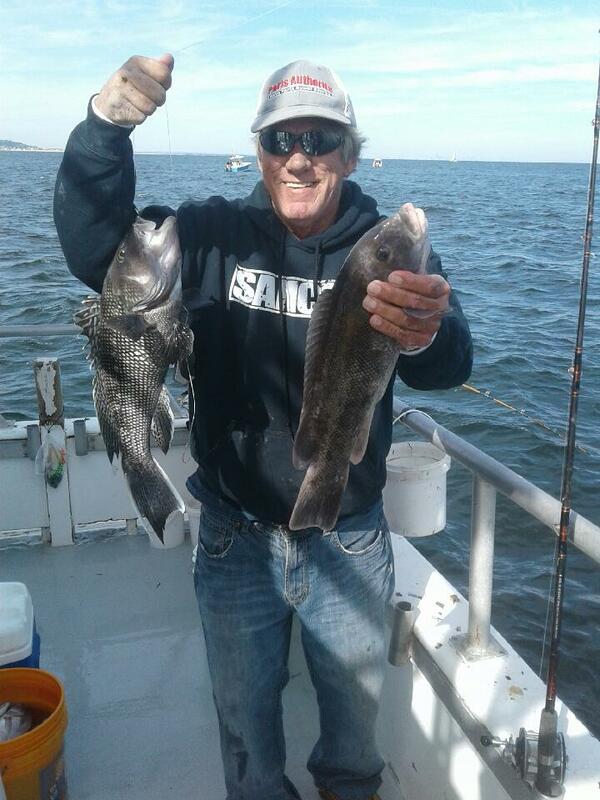 The day trips are seeing good numbers of tasty Ling when we fish the deeper drops and a few Porgy’s inshore. 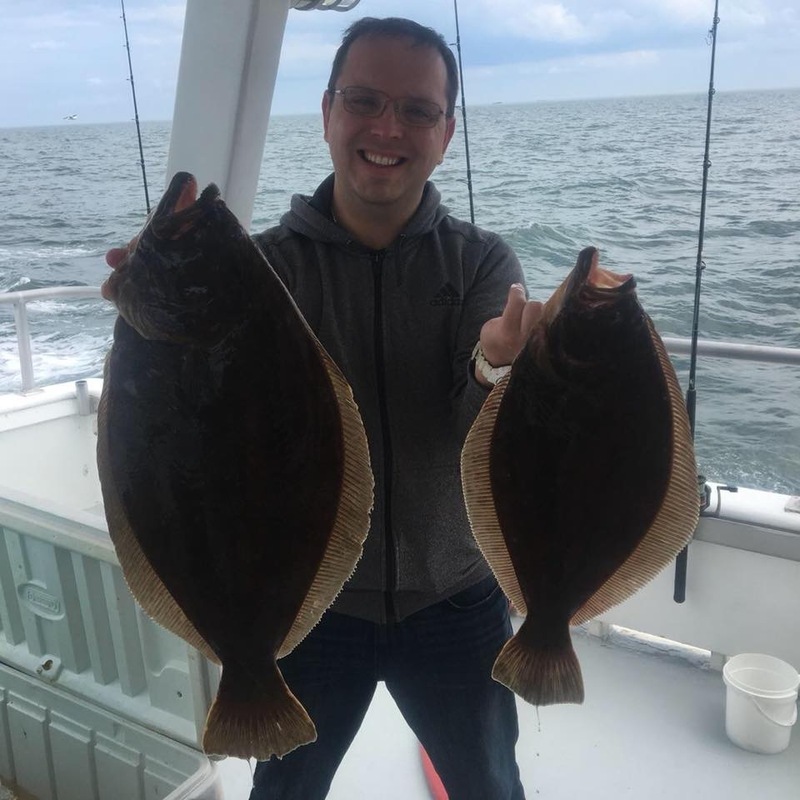 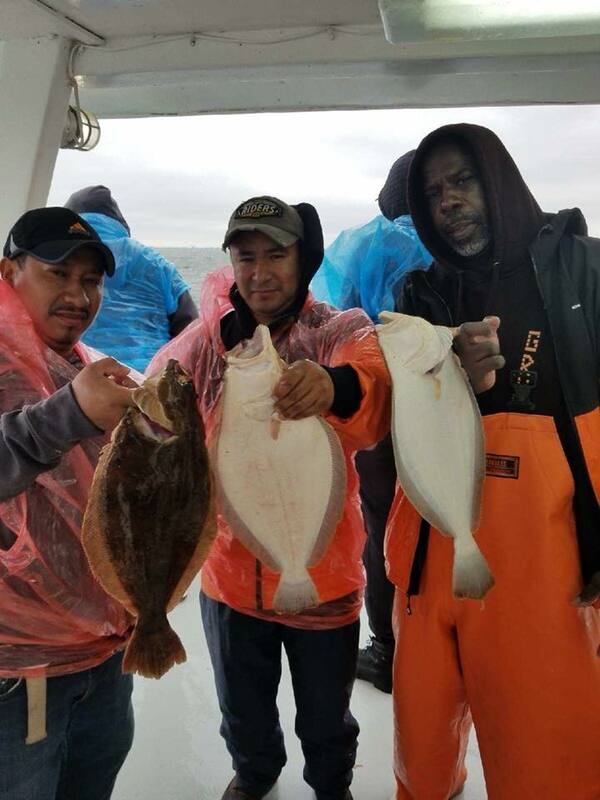 We caught some nice Fluke inshore last week on bad weather days. 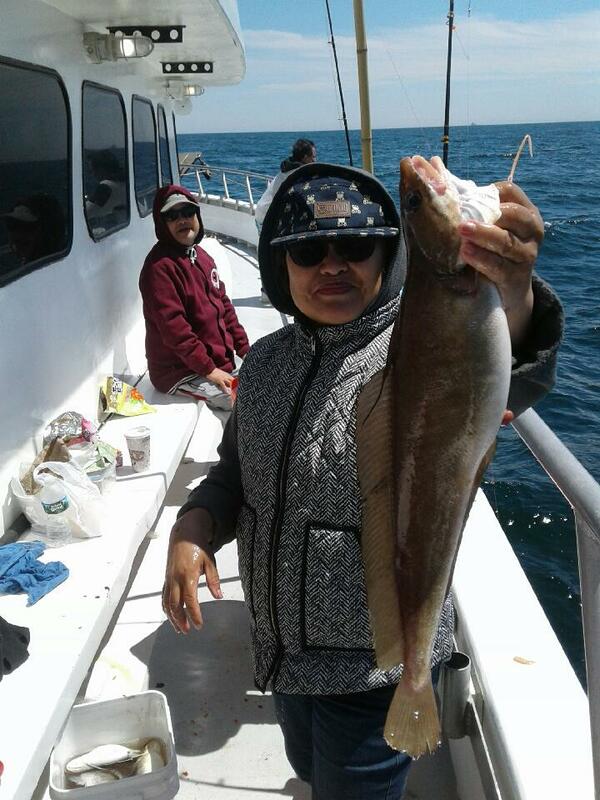 Weather is looking great this week and the Marilyn Jean is sailing everyday two trips a day. 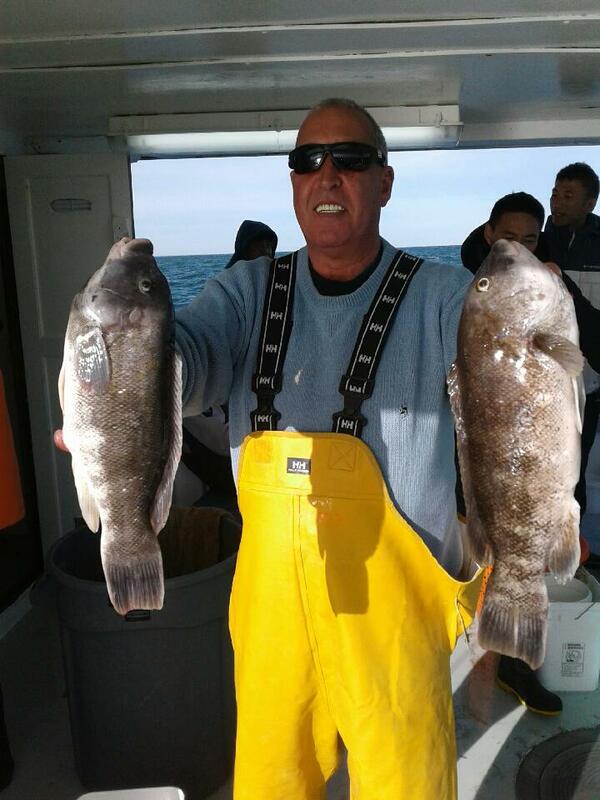 Also look for Capts Lady half day Fluke trips through Memorial Day weekend. 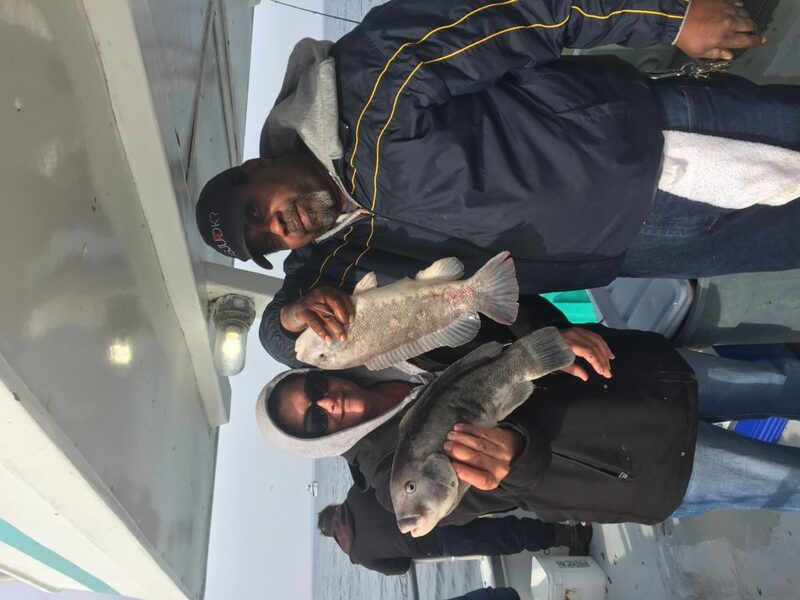 We are Blackfishing on the 7am morning trips. 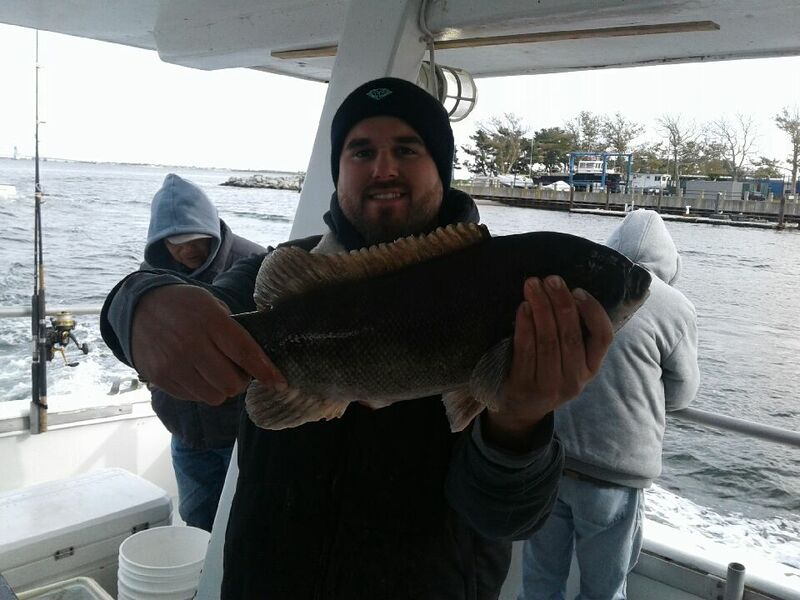 The Blackfish have been biting a little better lately last week fishing was slow. 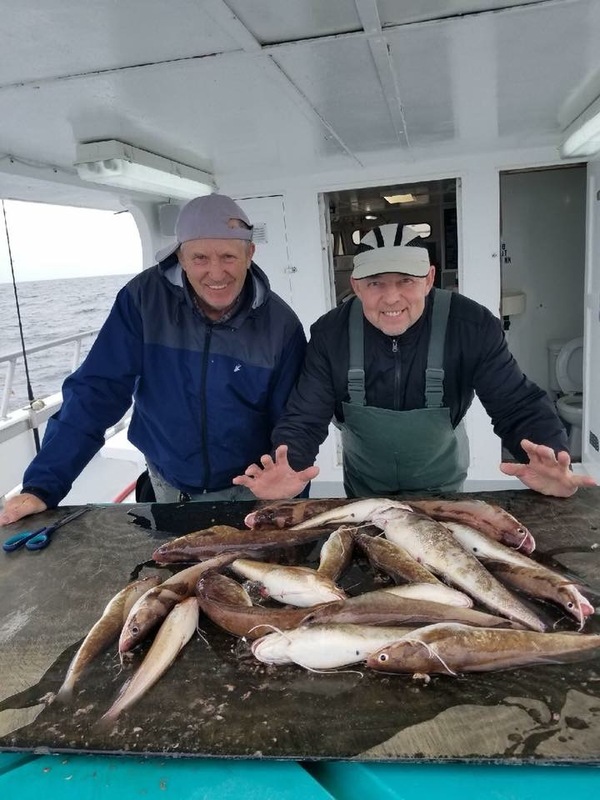 We missed a few trips due to the strong winds earlier this week. 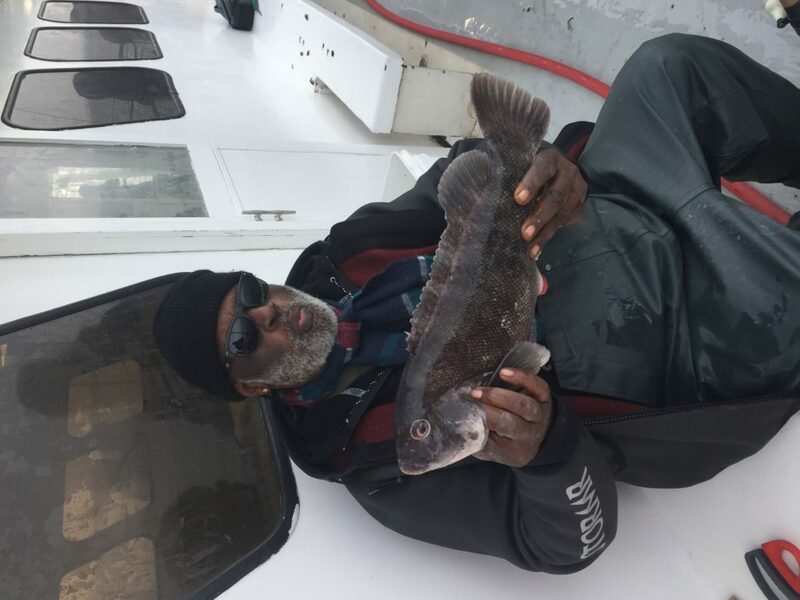 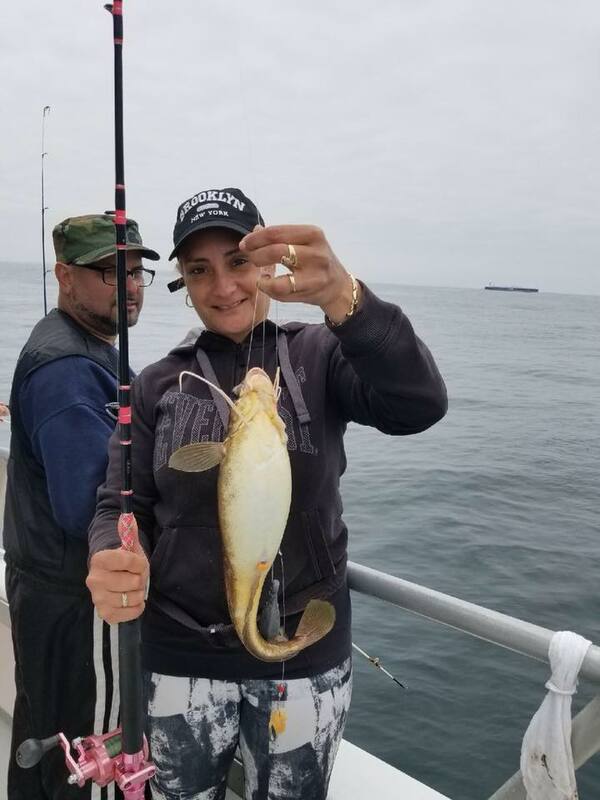 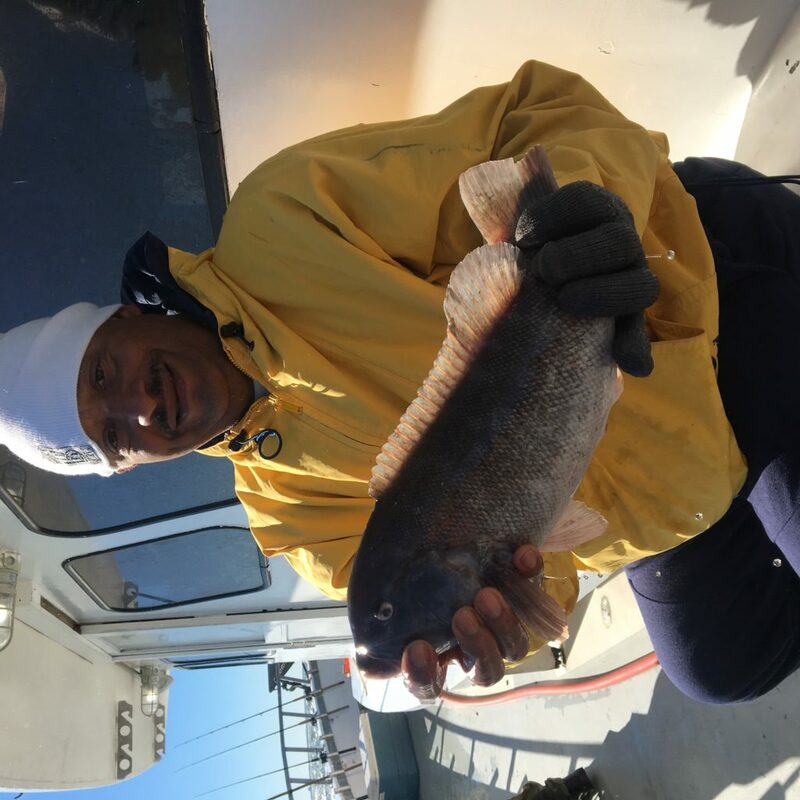 As usual with Blackfishing the more experienced anglers catch more fish. 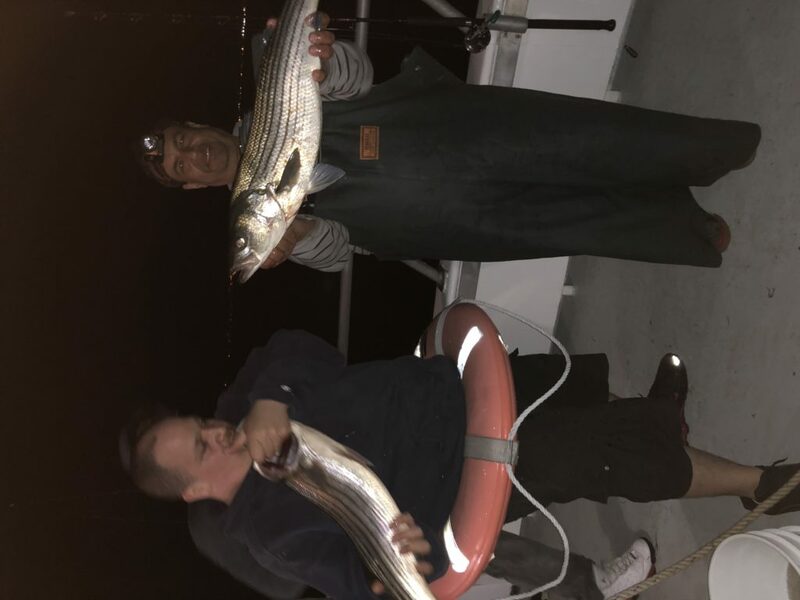 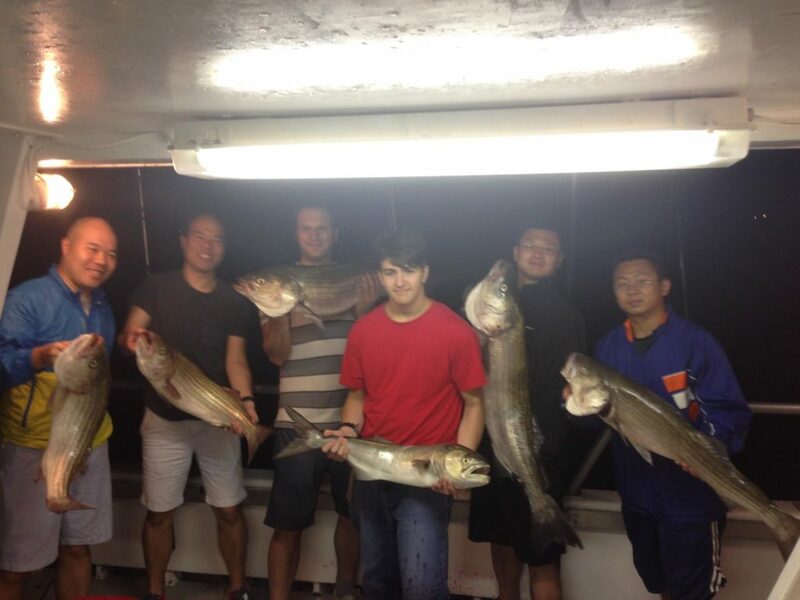 We are Fishing for Striped Bass with live eels for bait on the 7pm night trips Friday, Saturday and Sunday nights. 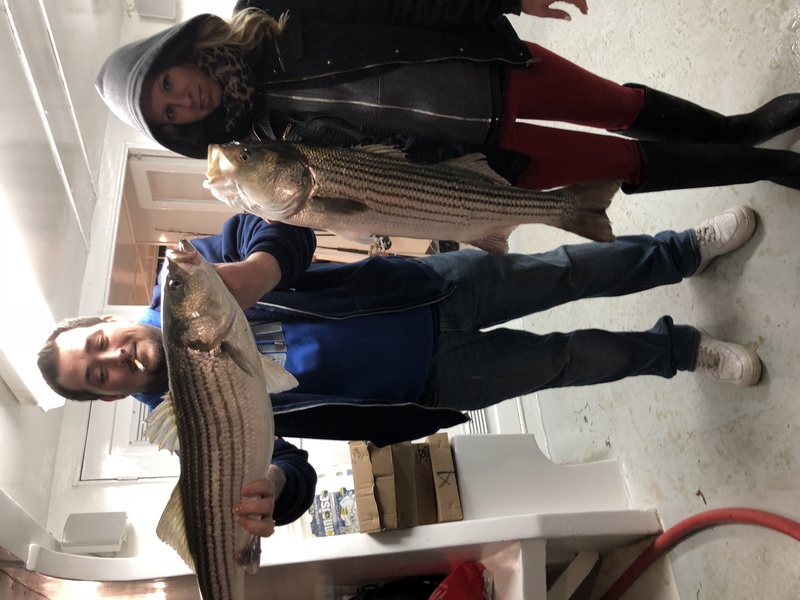 There were still some Stripers around last weekend. 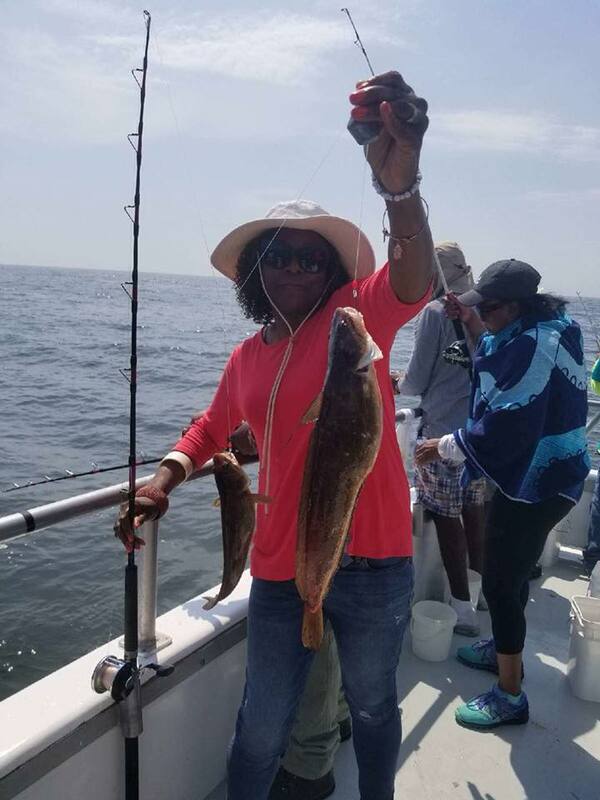 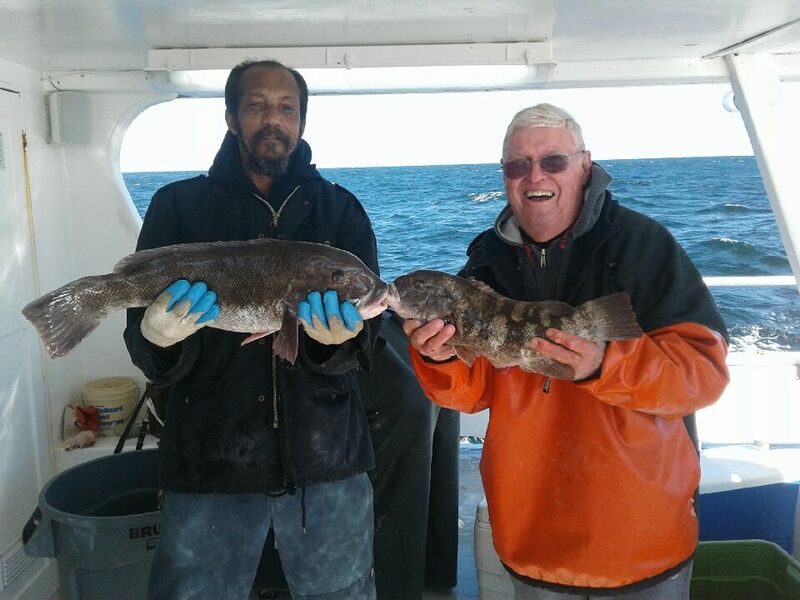 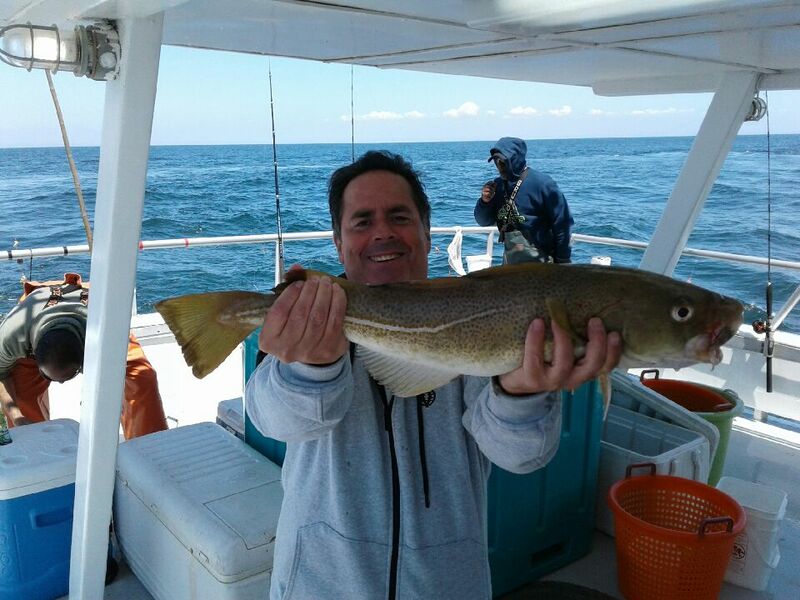 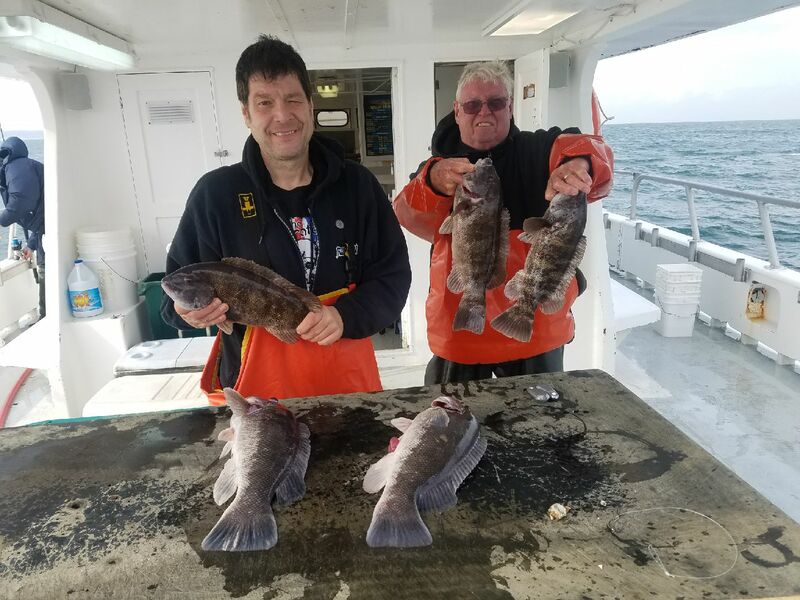 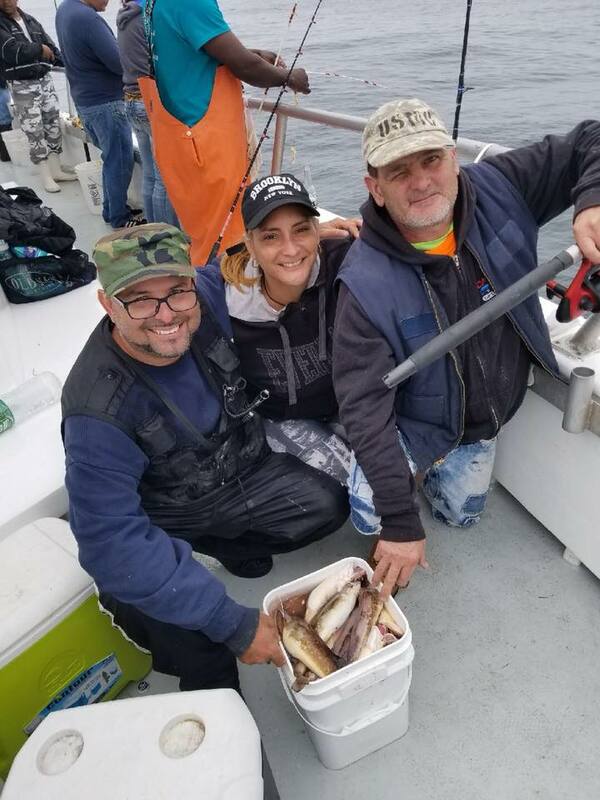 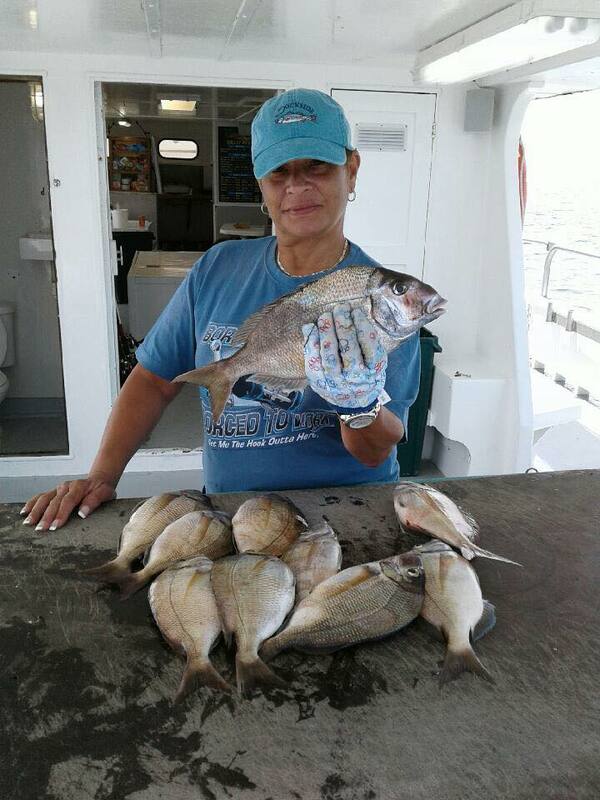 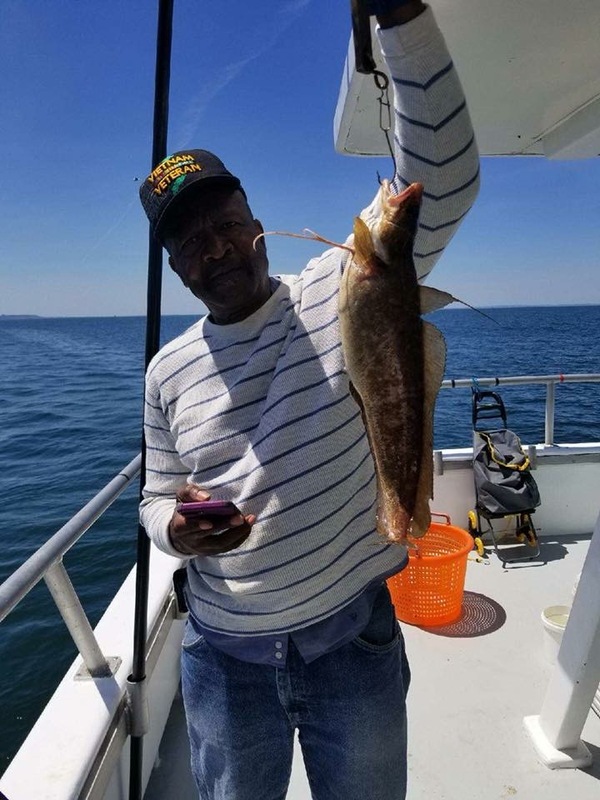 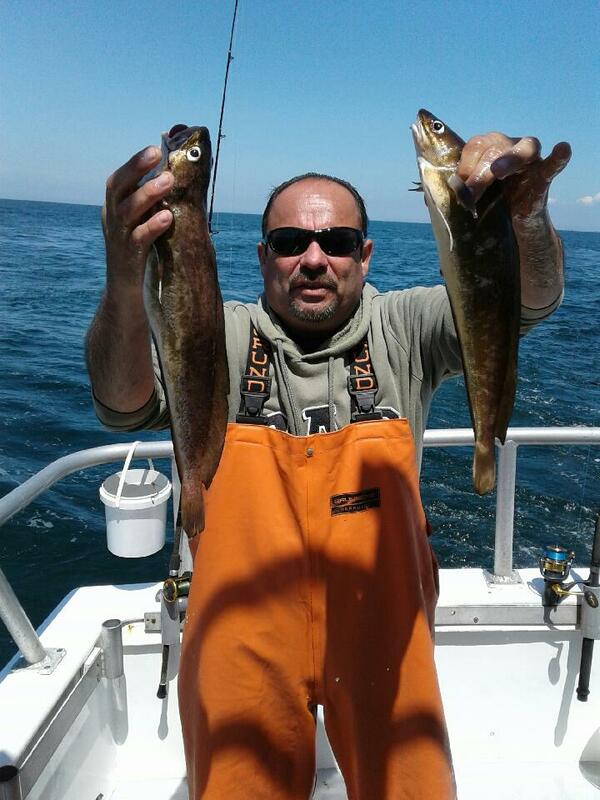 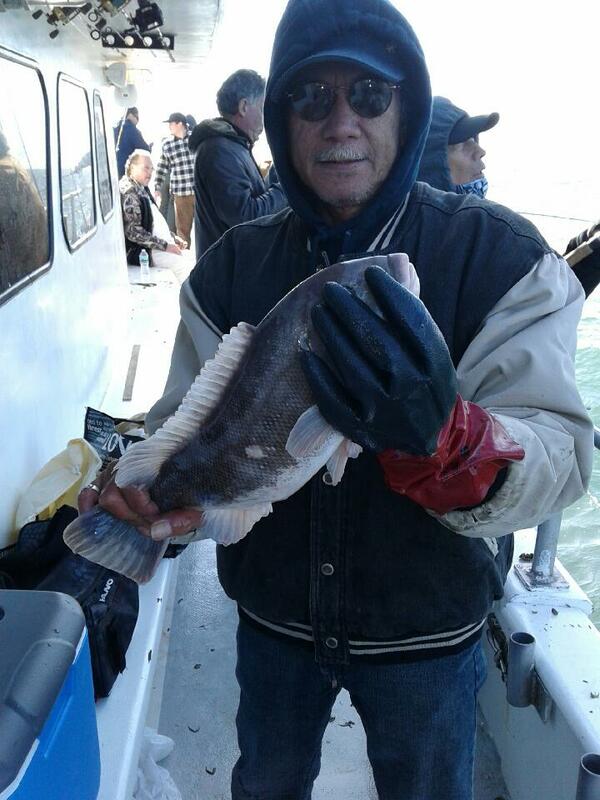 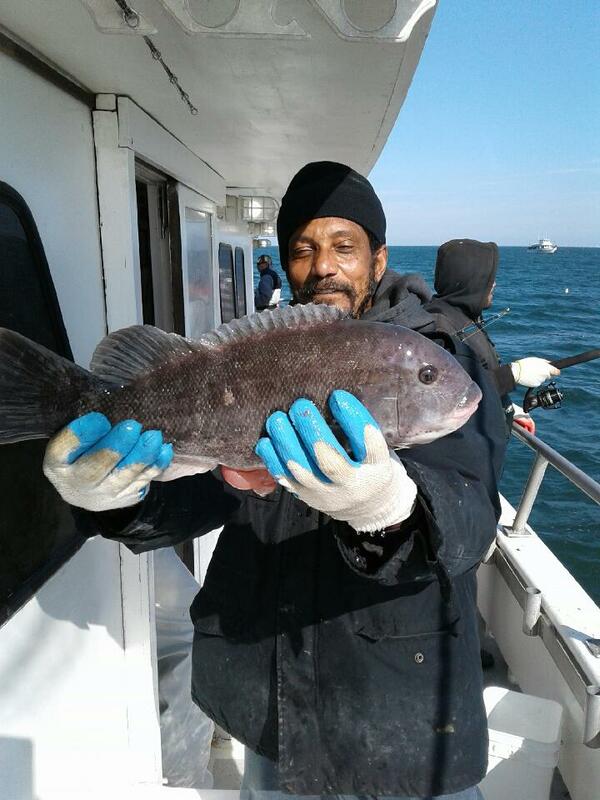 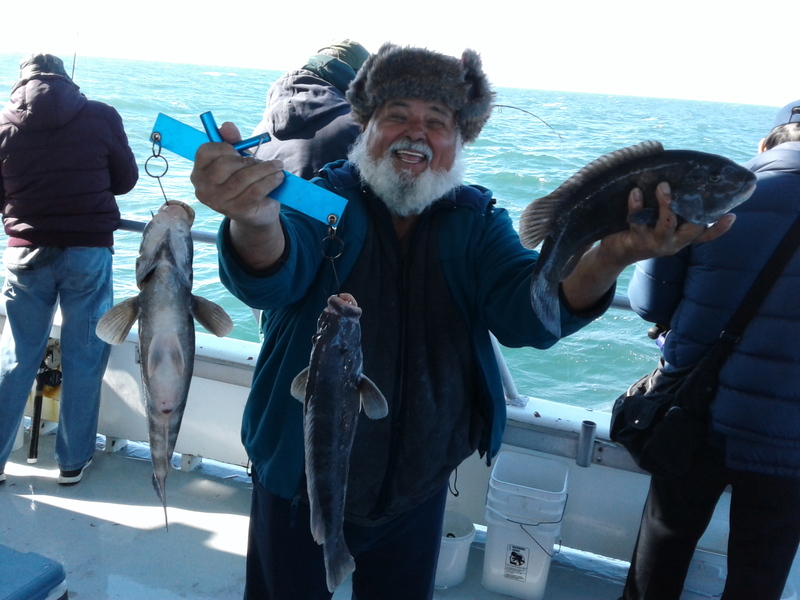 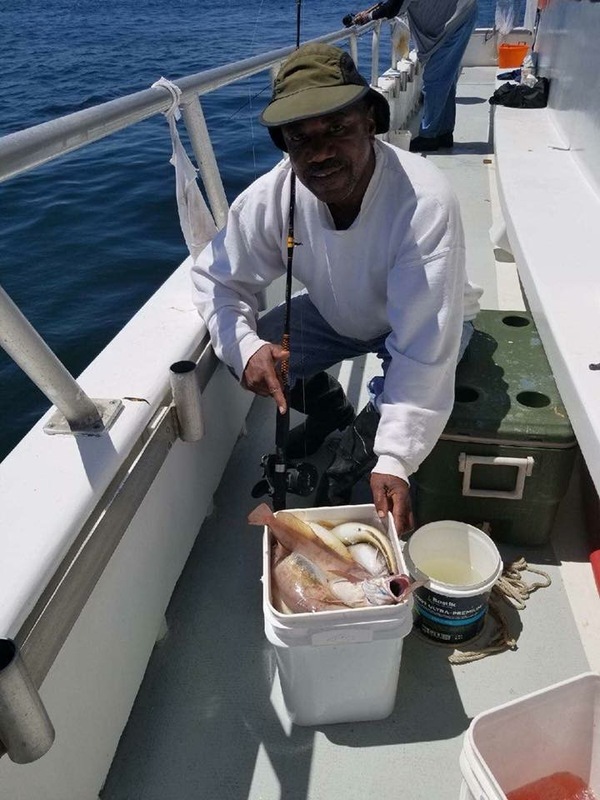 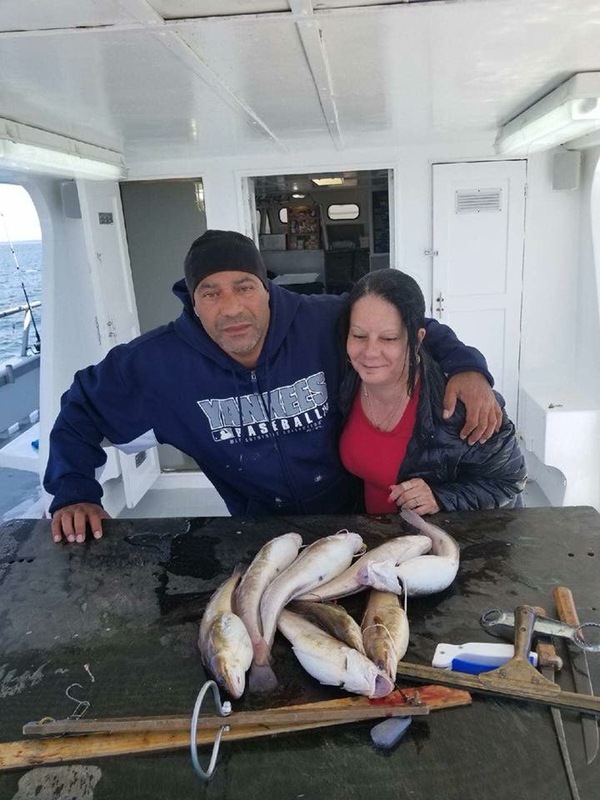 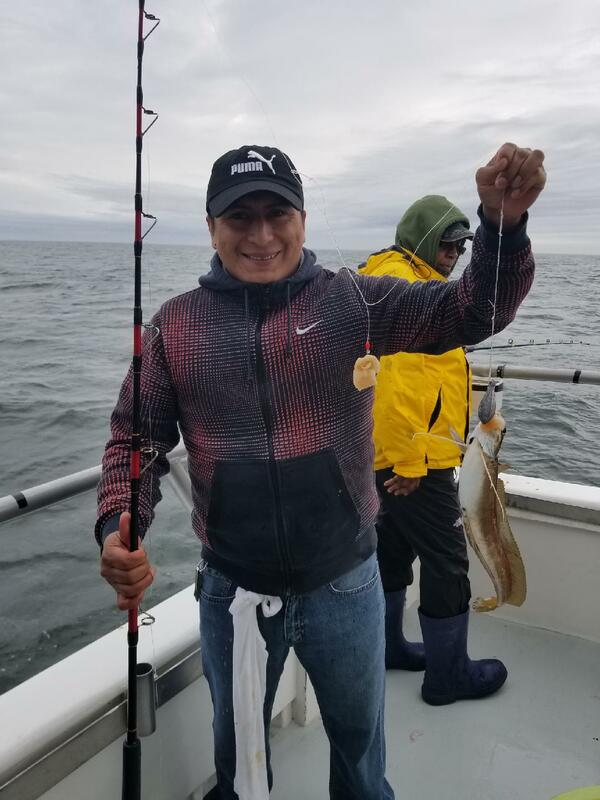 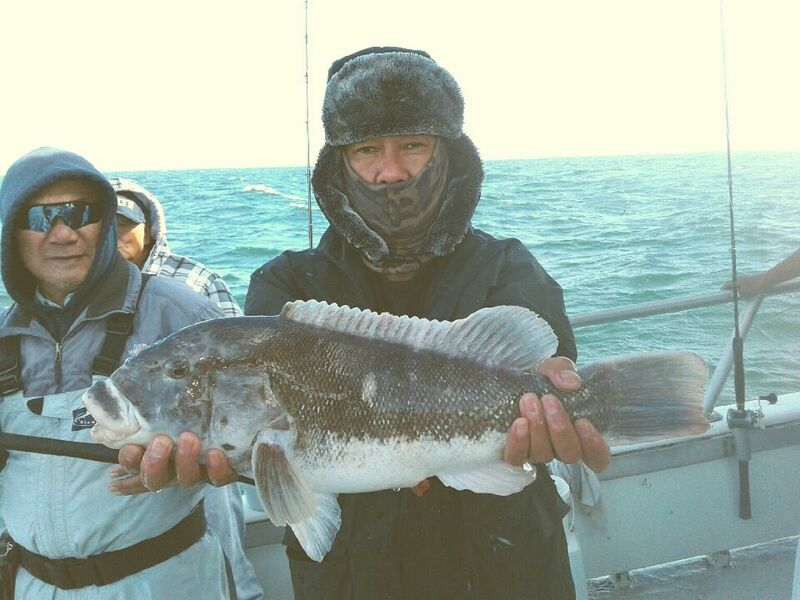 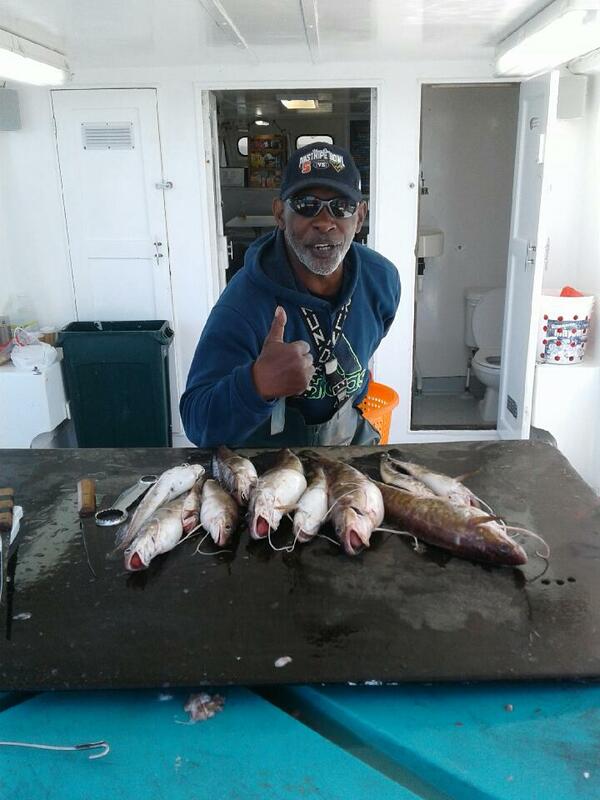 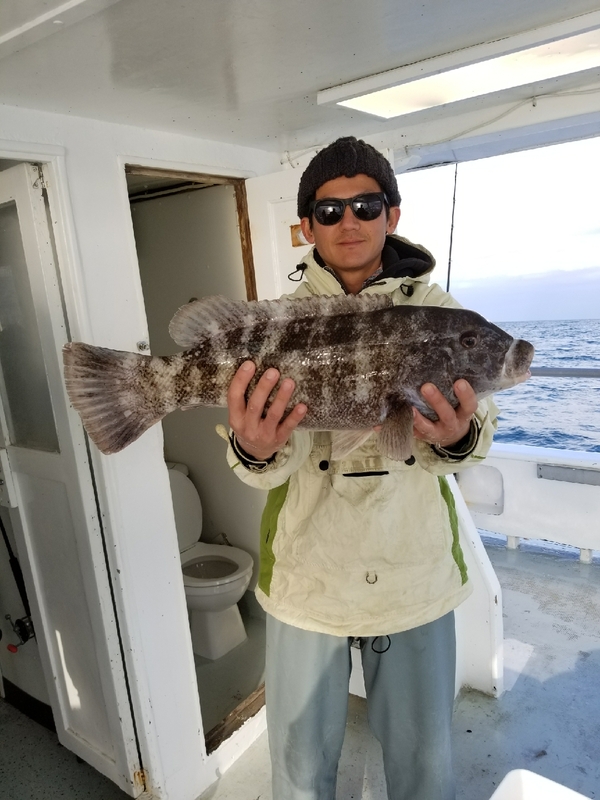 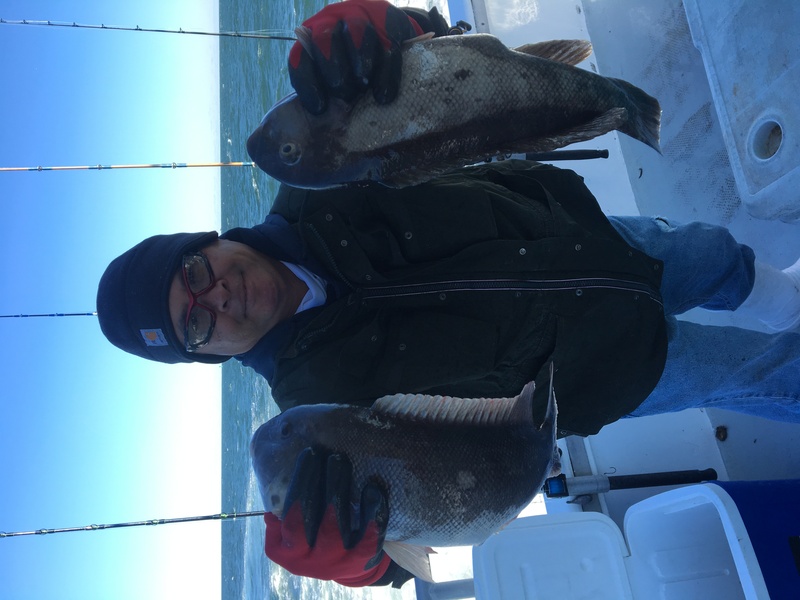 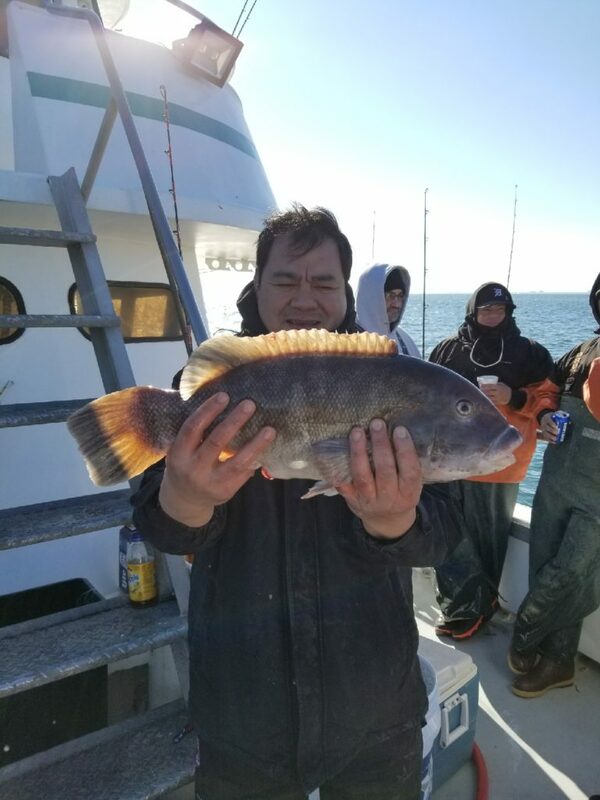 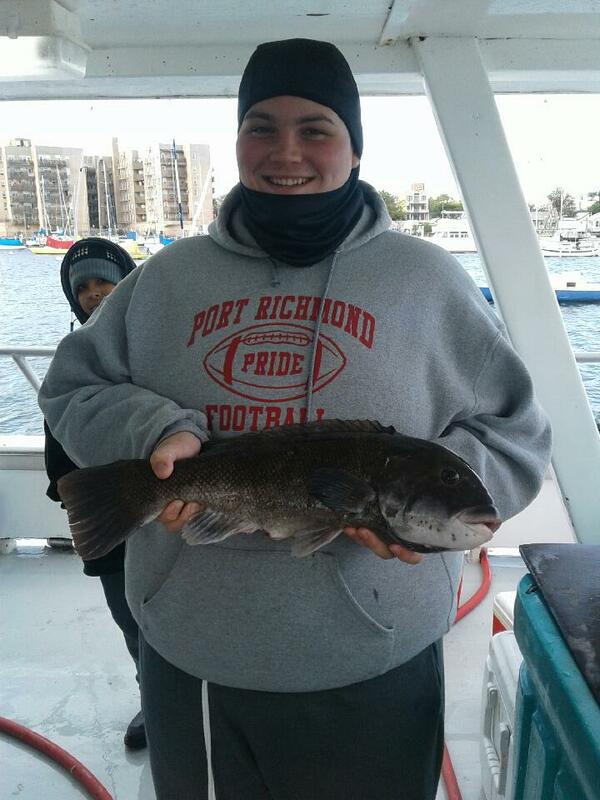 We are sailing daily for black fishing 7 AM to 3 PM the weather is cooling off and black fishing should be heating up. We are striped bass fishing Thursday through Sunday nights from 7 PM to 12 AM. 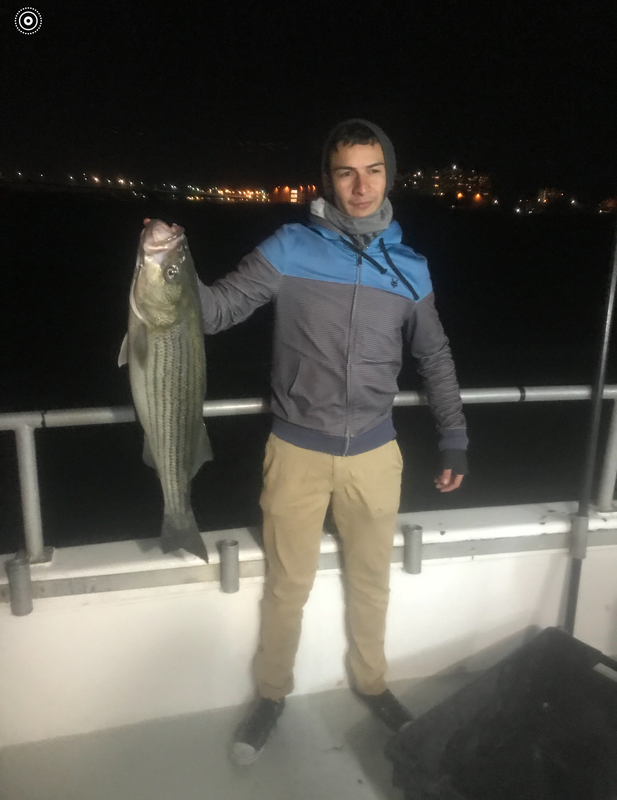 Last weeks trips were good ! 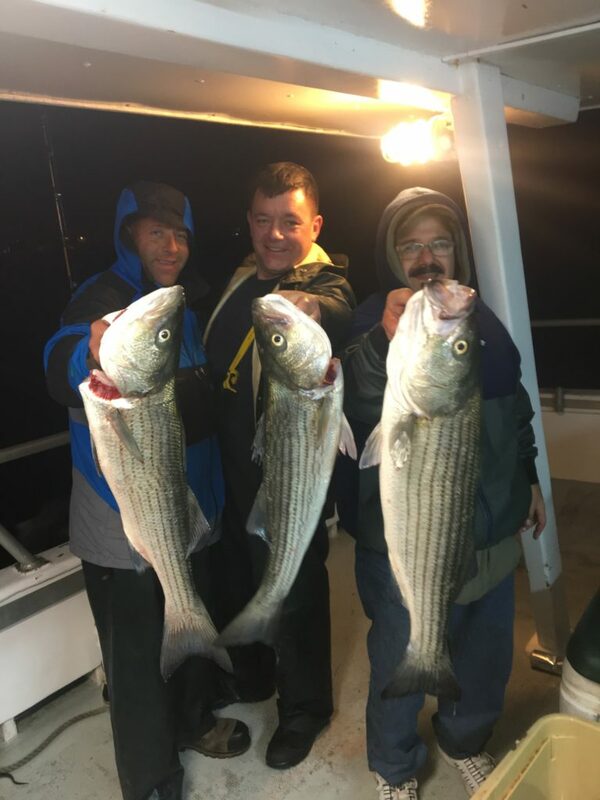 Big Night Striped Bass Now ! 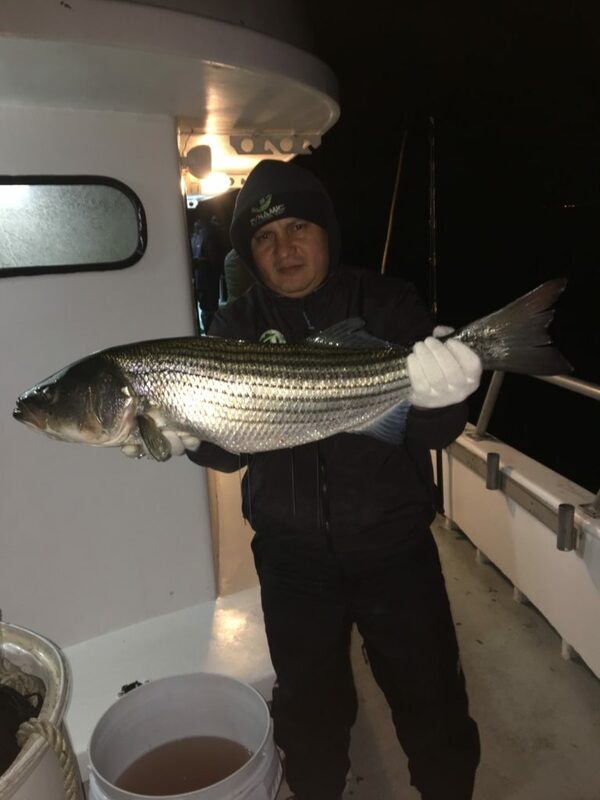 The fall Night Striper fishing has been HOT ! 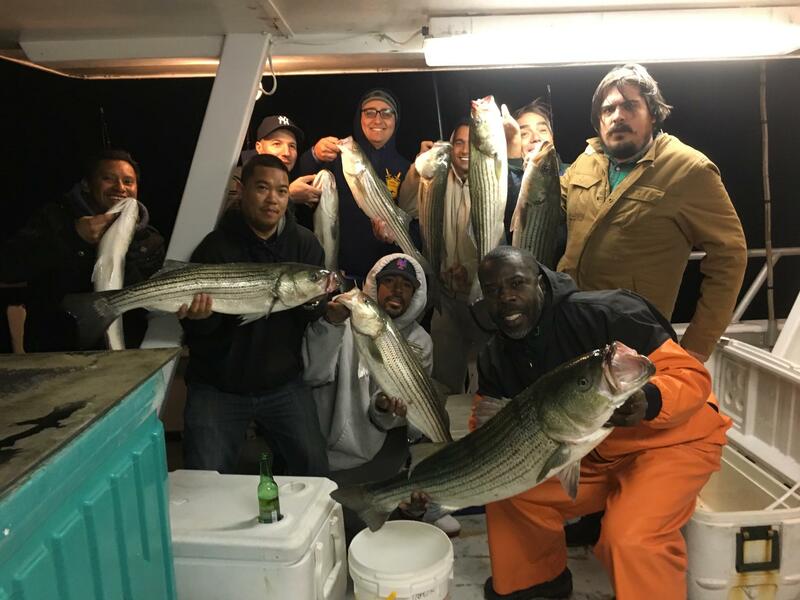 We are sailing Thursday Friday Saturday and Sunday nights 7pm to 12 midnight.